Eastman helps make SkullCandy's Riff Wireless headphones affordable & tough. 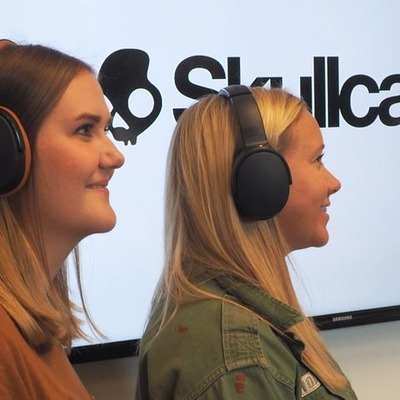 Techstination interviews with Jeff Hutchings of SkullCandy and Alex Dudal of Eastman. 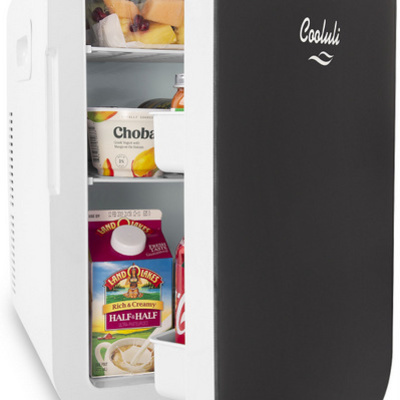 Cooluli brings versatility to portable cooling & warming: CEO Avi Kraminer chats with Techstination. Techstination, your destination for gadgets and gear. I’m Fred Fishkin. Digital photography is booming…since most of us are carrying around pretty good cameras built into our phones these days. But it is fun and worthwhile to take some of those images and make them even better. 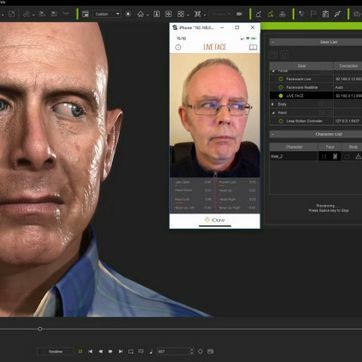 Whether you are using your phone or a higher end camera…the latest version of Exposure…X4.5 from Alien Skin Software can make you more creative. CEO Finley Lee says among the new features is the ability to use what are called LUTs… “So LUTs are these recipes for transforming colors in an image ..they got really popular in the videography world. 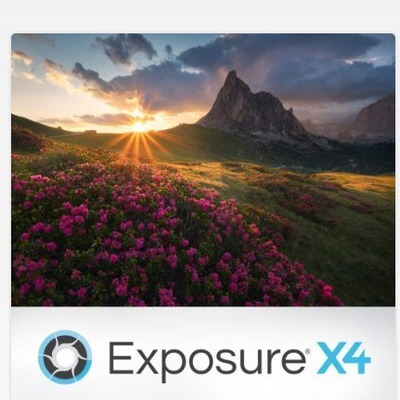 And so now you can use those LUTs in Exposure.” Using Exposure 4.5 is fun, fast and easy and you see the effects on your photos before you select which one to use. For more head to www.alienskin.com. You can find us at Techstination.com. I’m Fred Fishkin. Techstination, your destination for gadgets and gear. I’m Fred Fishkin. Looking for a basic surround sound speaker system? 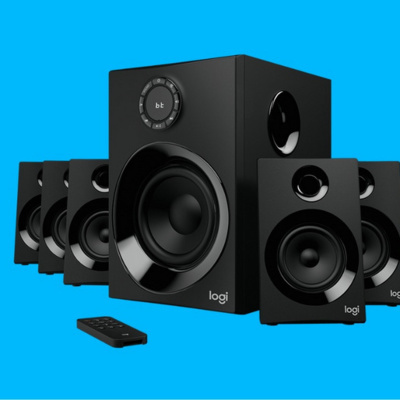 Logitech’s Z606 is a compact system with front, rear and center speakers along with a subwoofer…which the speakers are wired to… and Bluetooth connectivity. 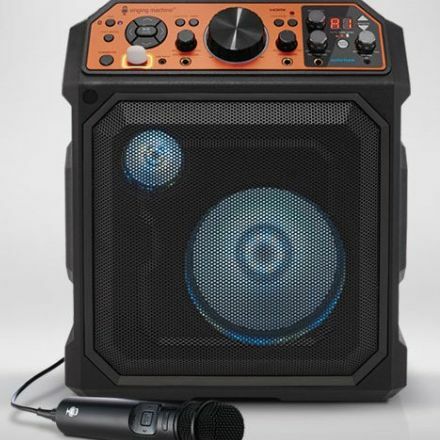 160 watts of sound total…and you can find the system for under 130 dollars. As a replacement for built in TV or computer monitor speakers, the Z606 set up is a definite upgrade. But the wired speakers may not be practical in some situations….and the lack of optical and HDMI inputs is another minus. On the plus side….the sound…given the relatively low price…is pretty decent…and you can switch easily between Bluetooth and wired inputs. For more, head to Logitech.com. You can find us at Techstination.com. I’m Fred Fishkin. Techstination Week is a compilation of this week's Techstination Reports with tech journalist and host Fred Fishkin. Fibaro sensors now work with SmartThings and more. Today's Techstination. 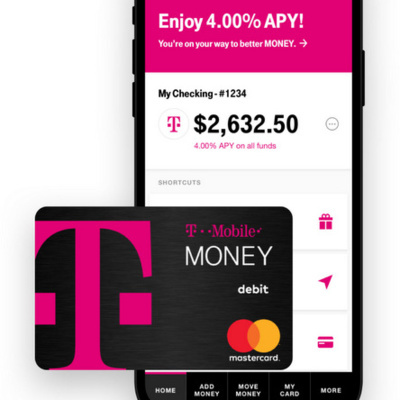 T-Mobile creates T-Mobile Money with no minimum, no fee checking. Marketing Dir. Tiffany Minor in Techstination interview. Upgrade that Mac with new SSD storage options from OWC. Product Marketing Mgr. AJ Gerth chats with Techstination. 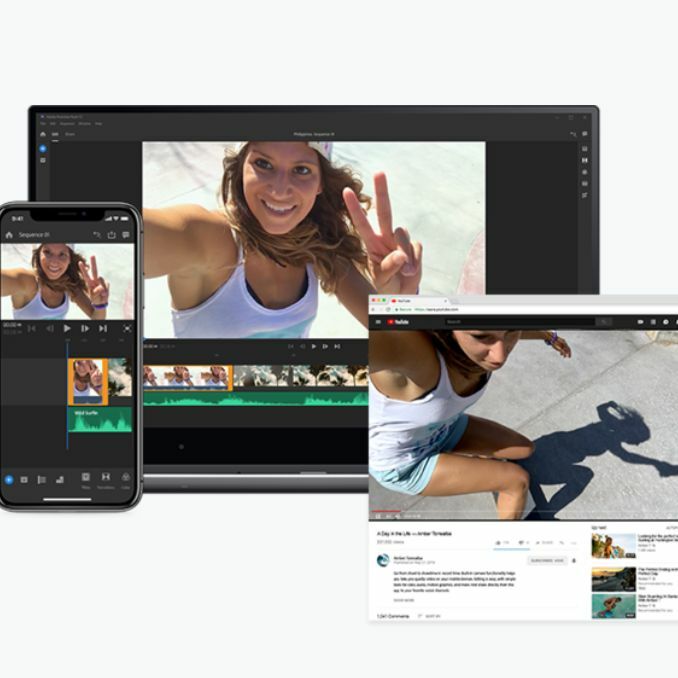 EyeQ acquires Athentech to grow AI in image editing Techstination, your destination for gadgets and gear. I’m Fred Fishkin. With the acquisition of Athentech…a software company best known for making it easy to improve photos with Perfectly Clear…EyeQ is poised to bring more artificial intelligence into the picture. 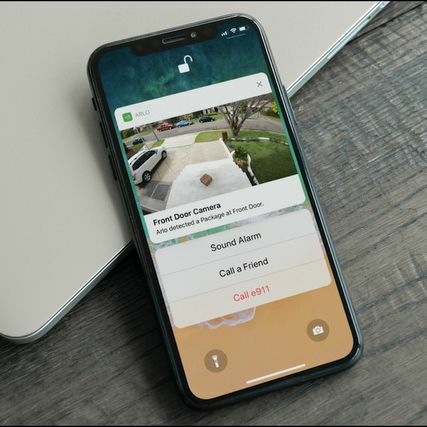 Chief Revenue Officer Ziv Gillat.. “The pictures that come out of the cameras and smartphones are good, but often they need to have some corrections. So for example, if you want to go and print a book from Shutterfly or Blurb, you’re going to want to have the best quality possible because you’re spending money on this. And so all those companies have been using us for years to correct images behind the scenes.” In fact, the company’s software corrects about 11 billion photos a year. And there’s more to come. Head to www.EyeQ.photos for more. You can find us at Techstination.com. I’m Fred Fishkin. GoSun Stove coming Hybrid Solar & Electric Oven & more Techstination, your destination for gadgets and gear. I’m Fred Fishkin. The innovations at GoSun Stove are continuing. Founder Patrick Sherwin has built a company around the concept of using the sun’s energy to cook meals completely off grid…using reflectors that focus on an evacuated tube that surround a cooking tray. 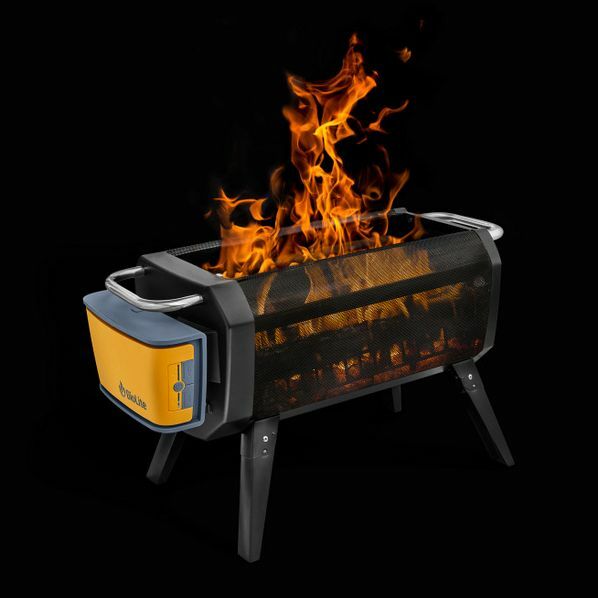 The largest model, the GoSun Grill, does an amazing job…has enough capacity for food for a typical family…and even keeps the food warm once you are done cooking. 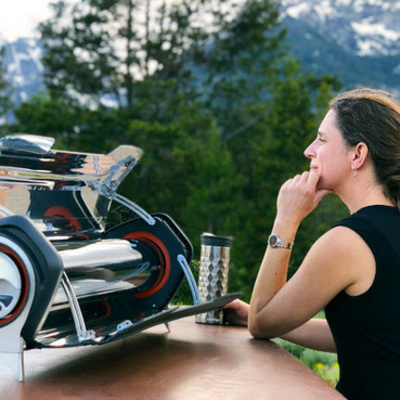 Now, Sherwin’s Hybrid Solar and Electric Oven is being manufactured to arrive this summer…and can cook indoors or out and even on the road. And a Solar Cooler is on the way too.. “We’re able to store enough energy and keep the compressor, that’s highly efficient and well insulated, keep the compressor running all day with just a little two pound lithium ion battery.” Stay tuned and follow along at GoSun.co. You can find us at Techstination.com. I’m Fred Fishkin. Techstination, your destination for gadgets and gear. I’m Fred Fishkin. Giving credit where it is due. In August of last year, T-Mobile CEO John Legere unveiled his latest so called Un-carrier move. He called it the company’s new Team of Experts… “We find a pain point. Where do you find it? Customers tell you what hurts. What they want solved. And then the Un-carrier solves them. Forever.” And I’ve put that promise to the test with T-Mobile’s new team of experts…without having to wait forever on hold…team members, many apparently at a call center based in Maine, are personable, tenacious about solving problems and follow up with their direct contact info just in case. T-Mobile really has taken away the pain points when it comes to customer service. And I really do hope it is forever. You can find us at Techstination.com. I’m Fred Fishkin. How does Jeff Bezos touch your world? Techstination, your destination for gadgets and gear. I’m Fred Fishkin. How is the richest man in the world…Jeff Bezos affecting your life? Not saying it’s necessarily a bad thing….just that it is a thing. Say…you wake up in the morning and check your email and read the newspaper on an Amazon Kindle. Perhaps that newspaper is the Washington Post. Time for breakfast…and maybe those eggs, that banana and the bread you are about to toast came from Whole Foods. And you bought that toaster on Amazon too. Same goes for the coffee maker. Time for work? An Amazon warehouse is the biggest new employer in the neighborhood. Then home for dinner…with more from Whole Foods…or maybe there’s an order waiting from Amazon Pantry. Then you might an enjoy an evening watching that TV…purchased on Amazon…watching a movie on that Fire TV Stick. Don’t forget to turn on the Ring security system before bed. You can find us at Techstination.com. I’m Fred Fishkin. Techstination, your destination for gadgets and gear. I’m Fred Fishkin. Think you burn a lot of energy at the gym? Fitness equipment maker SportsArt is helping to make all of that energy useful…by turning it into electricity. That’s the concept behind the company’s Eco-Power line of fitness equipment. The company’s chief technology officer Ruben Mejia.. “If you think of a hamster running on a hamster wheel we kind of have that same concept where the equipment is the hamster wheel and you are the hamster. So as your motion is turning a belt or a stride on an elliptical or a wheel on a cycle, it’s actually powering a generator which is producing electricity.” Which in turn can help power the gym. They’re planning Eco-Power equipment for high end home gyms as well. Find more at GoSportsArt.com. You can find us at Techstination.com. I’m Fred Fishkin. Techstination, your destination for gadgets and gear. I’m Fred Fishkin. Whether you love to bike or hike or camp….the need to see where you are going…and sometimes allow others to see you…can be crucial. The folks at BioLite…best known for their innovative stoves and Firepit….are out with a HeadLamp that is rechargeable, comfortable and versatile. Director of Marketing Erica Rosen… “We’re making a brand new, handsfree light. It is the HeadLamp 330 and it is a 330 lumen USB rechargeable headlamp. And what really sets it apart is that it is designed to be so comfortable that you’ll actually forget that you are wearing it.” The battery placement on the back is key to that comfort and it can power the light for up to 40 hours on the low setting. It also features red night vision and strobe settings. The price…about fifty dollars. Find more at www.BioLiteEnergy.com. You can find us at Techstination.com. I’m Fred Fishkin. Gaming leads to good- Call of Duty Endowment finds good jobs for veterans. Exec. Dir. Dan Goldberg in Techstination interview. Learning guitar on your bucket list? Fender updates Fender Play. 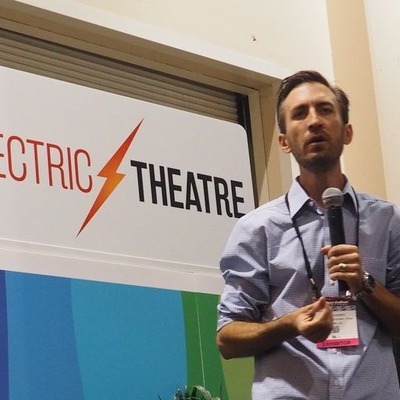 Chief Digital Officer Ethan Kaplan chats with Techstination. 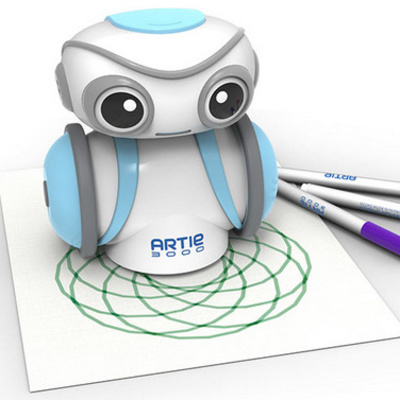 Artie 3000 code teaching robot from Educational Insights. 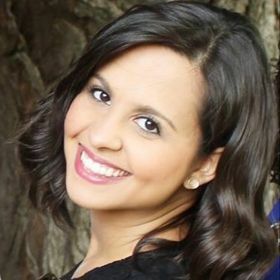 Product Manager Kelly Recinos in Techstination interview. Techstination, your destination for gadgets and gear. I’m Fred Fishkin. 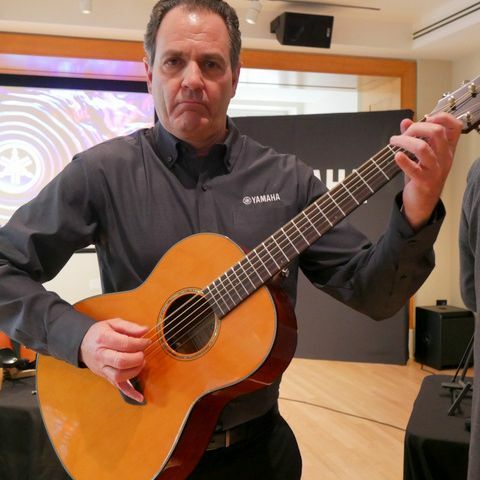 When it comes to musical instruments and music education, Yamaha does some pretty amazing things. And one of those things is the use of technology to allow musicians and budding musicians to practice brass instruments, hear themselves at full volume, without disturbing others even in the same room. We’ve tested Yamaha’s Silent Brass…the trombone version….with a young musician and …wow! What looks like a standard mute has a pickup that connects to the small Silent Brass controller. 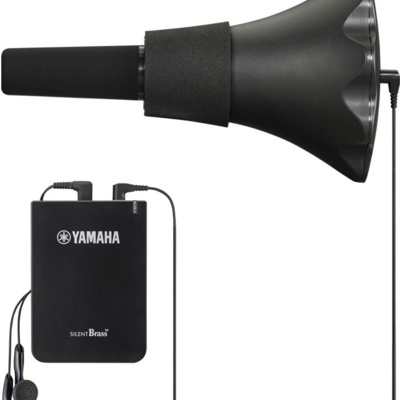 Headphones are plugged into it for the musician…and this trumpet clip from Yamaha’s web site shows you what they hear…. (sound) Pricing varies by instrument but is typically under 200 dollars. Find more at www.usa.yamaha.com. You can find us at Techstination.com. I’m Fred Fishkin. Techstination, your destination for gadgets and gear. I’m Fred Fishkin. Water damage in your home can be a nightmare….and it happens all too often. There are something like 14 thousand water damage insurance claims filed per day. 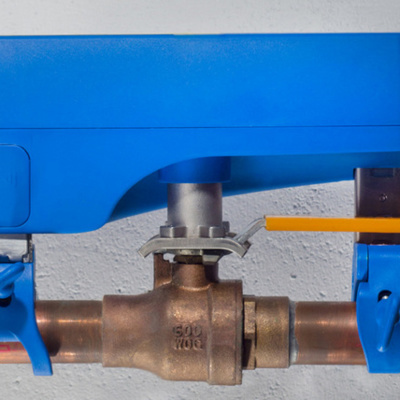 A high tech, easy install device called Guardian by Elexa…can automatically shut off the water supply when a leak is detected and can really be a lifesaver. Director of Sales Jon Storino says it attaches to a typical quarter turn ball valve… “And it sits on top of that. And with our leak detectors that communicate directly back to the Guardian, when a leak is detected it will automatically shut the water off to the home, preventing further water flow and damage in the house.” Pricing starts at about two hundred dollars. Find more at www.ElexaUSA.com. You can find us at Techstination.com. I’m Fred Fishkin. 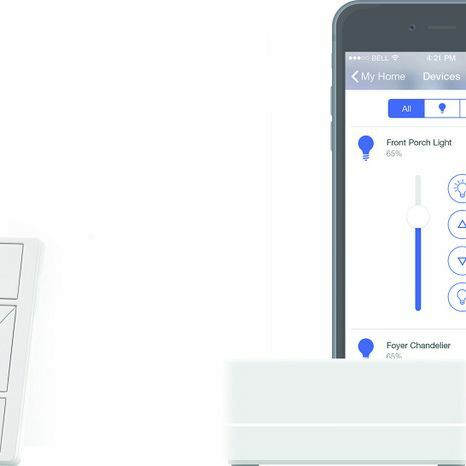 Click for Hue from RunLessWire adds convenience I’ve been a fan of home automation and things like connected light bulbs for years. They really can make things more convenient when used with motion sensors or voice control. 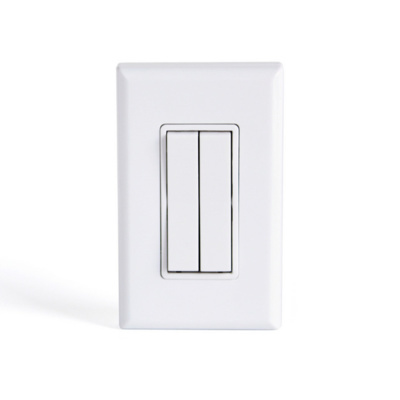 But sometimes an extra physical switch can simplify things…and a company called RunLessWire is making a clever…no power needed add on switch that works with the Philips Hue line. 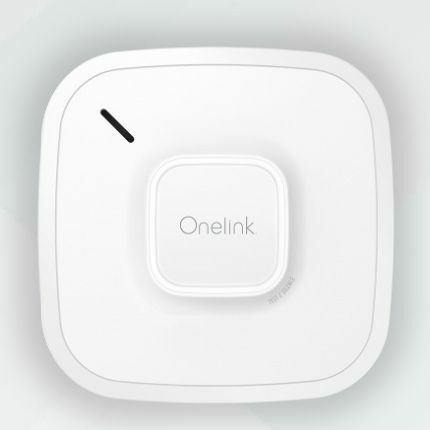 President Jan Finlinson… “One of the really exciting things we’re able to bring to this market for the first time is a switch that looks like every other switch that smart home enthusiasts can install and appease any other members or guests so that they can interact with the lights in a way that they are comfortable and familiar with.” It’s called Click for Hue, installs easily and sells for under sixty dollars. For more check out www.RunLessWire.com. Techstination Week April 5. Techstination Week is a compilation of this week's Techstination Reports with tech journalist and host Fred Fishkin. FNDN fpunder goes from paintball pro to heated clothing. Travis Lemanski is a pretty well known name among serious Paintball players…and is co-founder of Infamous Paintball. But he is also the founder of FNDN…foundation….a company that is making its mark using technology in a variety of heated clothing… “So we started with heated gloves. I mean obviously people have all experienced whether they are skiing or shoveling snow or being outside, whatever, cold hands. Then we ventured into apparel where we’ve done heated vests and heated jackets. And that’s been super successful for us. We’ve gone another direction…which is heated base layers.” Still handy for cold evenings in early spring. FNDN has done an impressive job combining style with technology. The company is looking to give customers options when it comes to which batteries will work with their garments. For more…head to www.fndn.com. EyeQ acquires Athentech to grow AI in image editing. 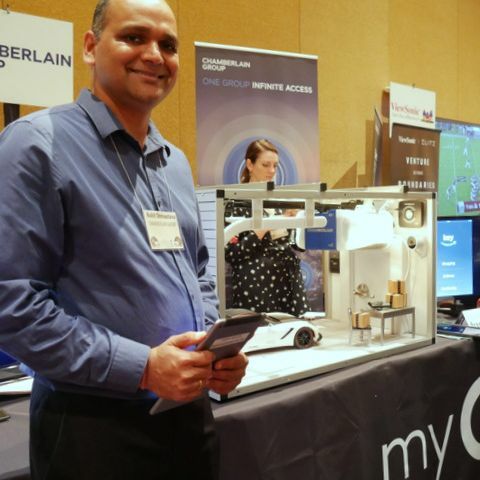 EyeQ's Ziv Gillat chats with Techstination. New GoSun innovations on way for solar cooking & cooling! New GoSun innovations on way for solar cooking & cooling! : Founder Patrick Sherwin in Techstination interview. OWC Continues Growth and Expansion. Other World Computing…or OWC…continues to innovate and grow. CEO Larry O’Connor recently announced the acquisition of high speed storage maker InXtron…and there have been others as well. OWC has specialized in helping users to upgrade. O’Connor says that includes adding solid state drives and more… “There’s all these incredible systems, you can even go back a decade, you got systems that are extremely, even two decades in some cases…machines that are still viable for the applications that they were put in place for. And systems 2012 and later are still supported with the latest operating systems…you can ramp them up with a 2 terabyte SSD inside. The docks that can add all the new ports to new systems and old systems alike.” The line up is impressive at OWC.com. 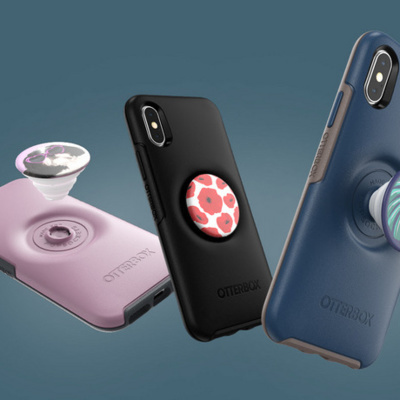 With new partnership OtterBox adds some Pop! : Comm. Mgr. Kristen Tatti chats with Techstination. Fibaro sensors now work with SmartThings and more. Fibaro's Dominik Jechorek chats with Techstination. Alien Skin Exposure 4.5 is out! What's new? CEO Finley Lee in Techstination interview. Plantronics and Polycom combine to form Poly. 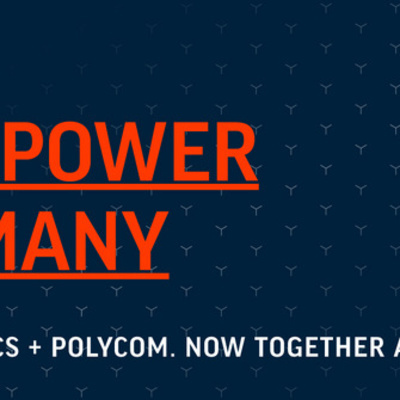 Poly is the name of a new brand created by the purchase of Polycom by Plantronics. 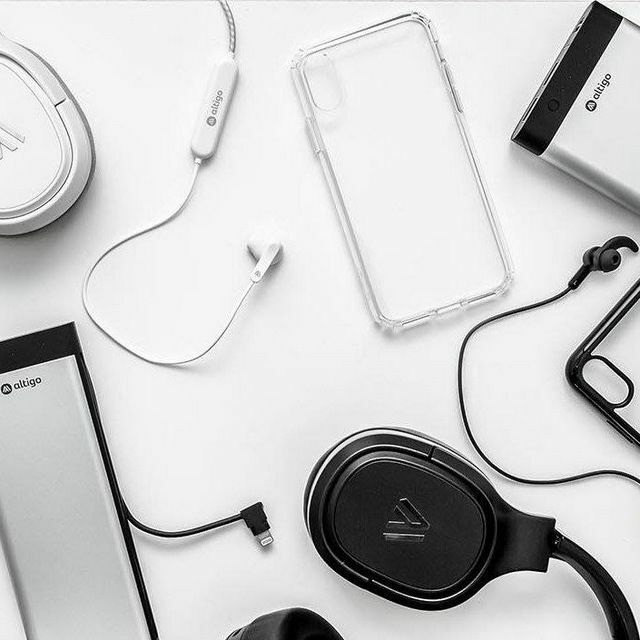 Chris Thorson is Senior Director of Product Marketing… “As we went and started to do the actual research, we said obviously there’s a long history with Plantronics starting back in the aviation days over fifty years ago and headsets that went to the moon. And on the Polycom side, also a rich history of conference phones…over five million devices there just on the conference space in rooms there. 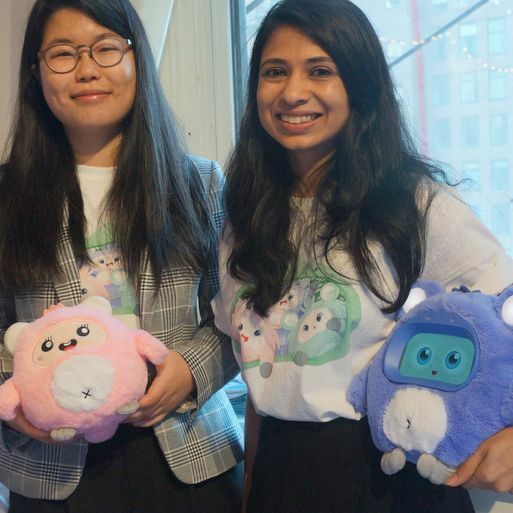 So there was a long, rich history of both and it feels almost odd to pick one over the other so we looked at it together and said, you know, we really think we can bring these two companies together and move forward with a new name, now Poly. Poly really meaning many.” And for more…on some of the latest…check out Poly.com. Amazon Future Engineers program provides computer science courses & more. A program called Amazon Future Engineer is aiming to make a big difference in the education of thousands of young people. What Amazon is doing is investing fifty million dollars…funding introductory and advanced placement computer science courses at more than one thousand high schools across the country…many of them in underprivileged areas. Beyond that the program will support computer science access for many students in younger grades. 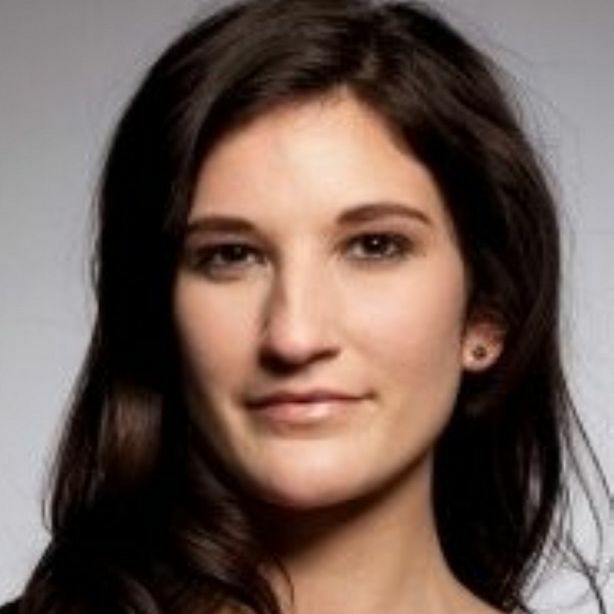 Amazon’s Allison Flicker… “We’re starting with kids all the way in kindergarten and are actually sticking with kids as they go into college and enter into getting different internships throughout their college careers.” Of course, Amazon hopes that one day, some of those future engineers will become employees. There is more information, including for schools and teachers, at www.amazonfutureengineer.com. Apple wants to be your top choice for streaming TV. How do you stream TV and movies. However it is today…Apple is aiming to change that…or at least add to it with a new app that will be available on TVs…Roku and Amazon’s Fire TV. 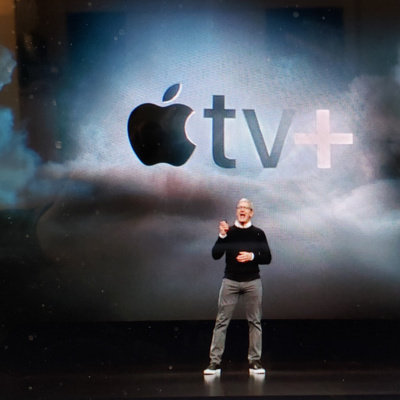 Apple TV will let you buy and rent shows…subscribe to premium channels….and this fall the offerings will include Apple TV Plus….with original content being developed by some of the biggest names in show business from Steven Spielberg to Oprah Winfrey… “There has never been a moment quite like this one.” Of the talent Apple has lined up, CEO Tim Cook says… “ They’ve impacted our culture, society and we’re so excited and so humbled to be working with them.” For consumers…the battle to create quality programming…is a good thing…if you can afford the subscription fees. Techstination Week March 29. Techstination Week March 29. Techstination Week is a compilation of this week's Techstination Reports with tech journalist and host Fred Fishkin. Google shaking up video game world with Stadia. 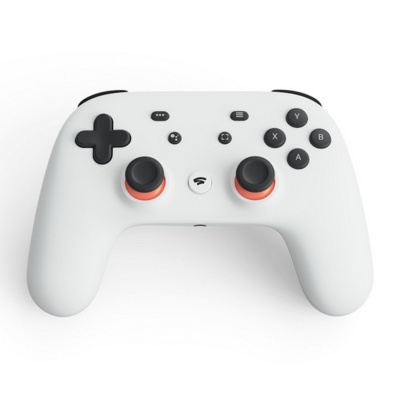 Google is shaking up the world of video games….unveiling Stadia…a cloud gaming platform that will turn just about any device running the Chrome browser…into a game machine. At this month’s Game Developer Conference, Google CEO Sundar Pichai said… “If you think about games, there are a lot of barriers for users to play high end games. Beautiful graphics really need high end consoles or PCs. And games don’t have instant access. Think about the way the Web works, you can easily share a link and it works seamlessly. We want games to feel that way too. Instantly enjoyable with access for everyone. Google’s tag line for Stadia is No Boxes, No Downloads, No Limits. It is due to arrive this year..pricing hasn’t been announced. Wearables market growing, evolving: IDC We are buying more and more smart wearable devices. 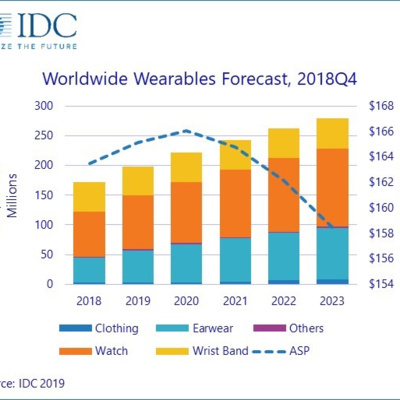 IDC is out with a forecast that says the worldwide market for wearable devices…including wireless headphones with smart assistants…will grow more than fifteen percent this year. Watches….like the Apple Watch…are leading the way…and much of the focus there is on health care. 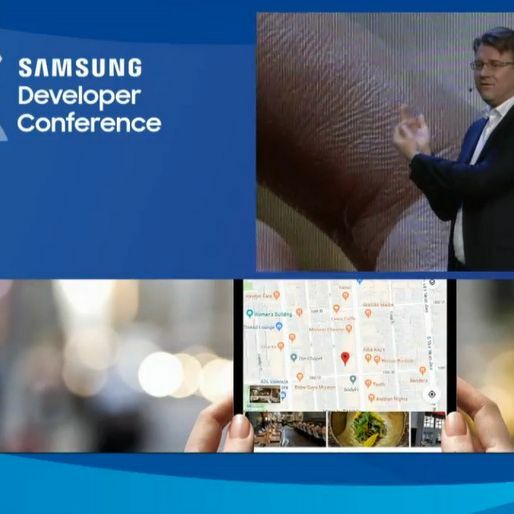 IDC Research Director Ramon Llamas… “We’re not at the point where smart watches are diagnosing your physical condition. I think we’re several cycles away from that. But that certainly says something. And Apple also is not the only one. Fitbit has its own collection of smart watches.” And others like Samsung as well. IDC says the wearables phenomenon is just getting started. Check out the IDC.com Web site for more. BioLite's HeadLamp 330 shines: Marketing Dir. Erica Rosen in Techstination interview. 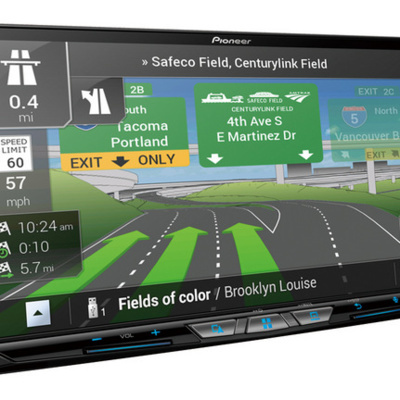 Pioneer jumping into telematics with rDrive & adding wireless NEX receivers. Techstination interview with Marketing VP Ted Cardenas. 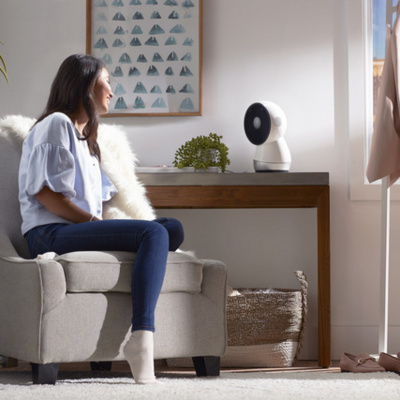 An Outdoor Sensor from Philips Hue The Philips Hue brand has been a pioneer in connected lighting for the smart home and one of the newest additions to the line up is the Outdoor Sensor. It is a motion sensor that can be used indoors or out to trigger Hue lights. I’ve found the addition to be both reliable and very useful. 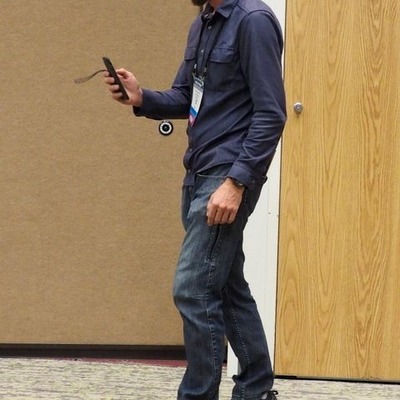 Product Marketing Director Mike Deschamps… “Really great product, fully outdoor rated, can be easily installed. Battery powered, but will still last for up to two years. 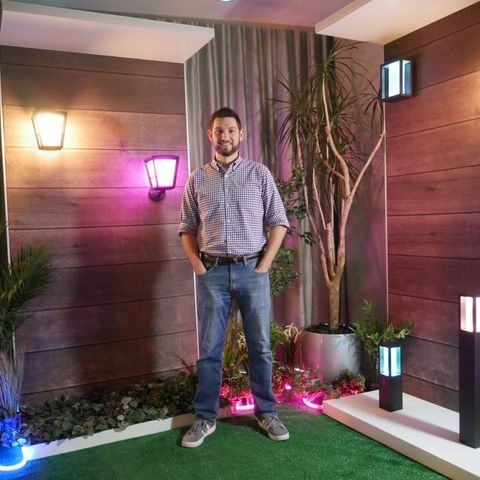 And now you can really have more of that peace of mind and security from your outdoor space.” Utilizing some of the recent additions for outdoor lighting from Philips Hue….or to trigger indoor lights to come on as you approach the door. The price…about fifty dollars. There’s more at MeetHue.com. More new iPads from Apple. Apple says the Mini just got mightier. A new iPad Mini is on the way along with a new iPad Air. 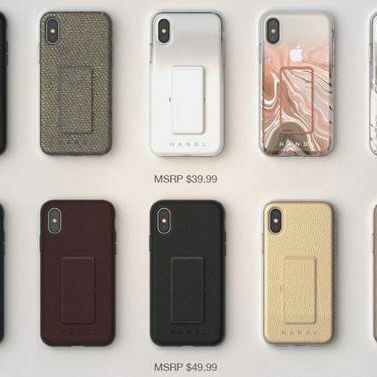 The designs are a bit of a throw back….with the once familiar white bezels….and even a return to the Lightning port. But the new iPads will be able to use Apple’s Pencil stylus….a 99 dollar add on. The displays are better and there are faster processors…along with speedier LTE connections available as an option. The new iPad Air starts at about 500 dollars for a 64 gigabyte model while a 256 gigabyte version comes in at 649 dollars. The new iPad Minis are 100 dollars less. The ability for mobile connections adds about 130 dollars. For iPad fans….count me as one of those….these are more affordable options that the latest iPad Pro designs. Mobility for all ...greatest promise of autonomous vehicles. When it comes to self driving vehicles….there’s an awful lot of confusion out there. A recent Triple A survey found nearly three quarters of us have a negative impression of self driving vehicles or even the testing of them. At Princeton University, the faculty chair for autonomous vehicle engineering, Alain Kornhauser, says those perceptions will have to be turned around…and understanding some of the benefits is a great place to start. Full disclosure…I co-host the Smart Driving Cars podcast with Professor Kornhauser…who advocates for the technology to be used to create mobility for those most in need… “The biggest opportunity for this mobility is to serve those who need it the most. 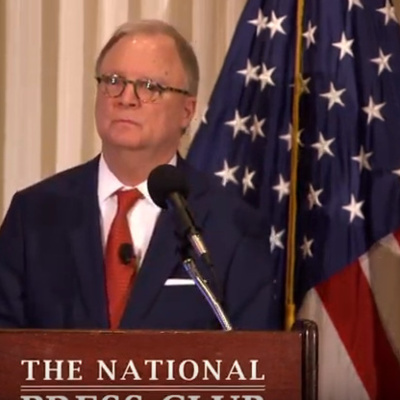 But what we need to do is figure out what is it that mobility disadvantaged community really needs.” Those working on the technology…and governmental agencies…he says…should spend a lot of time listening. 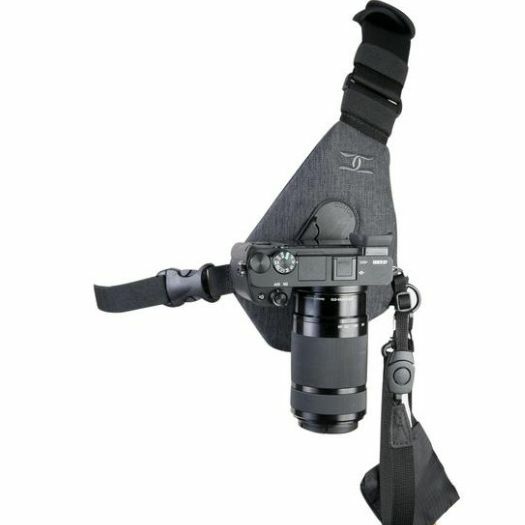 Black Eye Pro Kit G4 lenses for mobile photos and video. Today's Techstination. 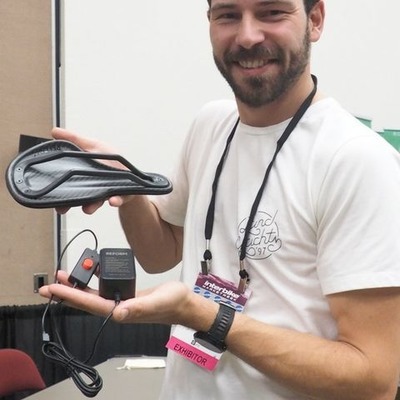 From Paintball Pro to founder of FNDN heated wear: Travis Lemanski chats with Techstination. RunLessWire Click for Hue a welcome addition: Pres. Jan Finlinson in Techstination interview. Elexa Guardian automatically protects your home from water leaks. Elexa's Jon Storino in Techstination interview. Anker's PowerHouse 200 keeps you charged anywhere. 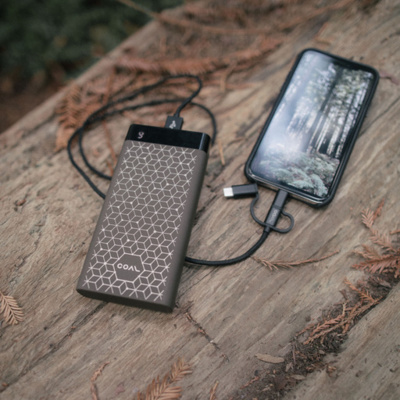 If the arrival of spring signals more time outdoors for you….maybe even heading to a campsite…Anker can keep your gear charged up for days with the PowerHouse 200. This isn’t a pocket sized battery pack…weighing about five pounds. 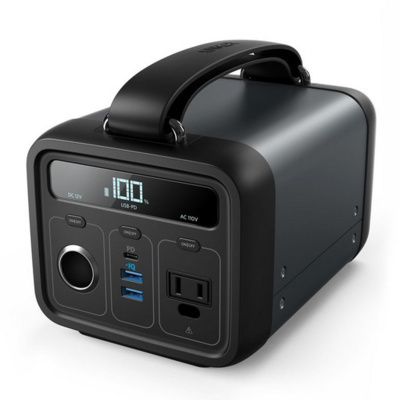 What it delivers is lots of juice via AC, USB, USB C or 12 volt car outlet. 57 thousand 600 milliamp hours. So you can power phones, tablets, laptops, lights, fans and more any time, anywhere. Recharging the PowerHouse 200 is done either by plugging into a wall outlet…or via an optional solar panel. The price…about 350 dollars. 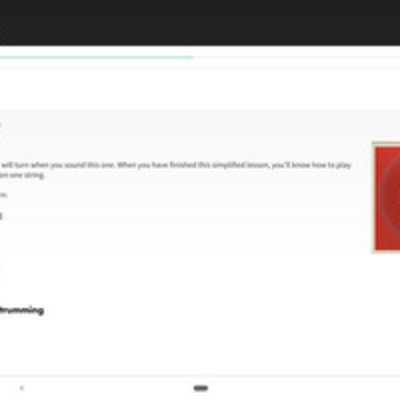 Your workout can power your gym: SportsArt CTO Ruben Mejia in Techstination interview. Plantronics and Polycom combine to form Poly. 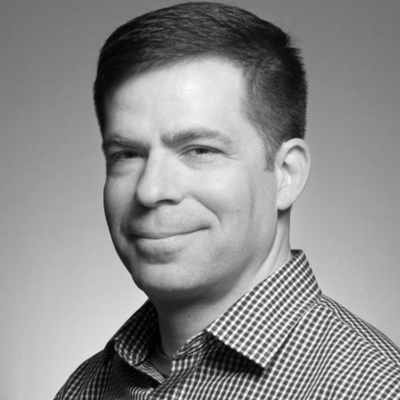 Sr. Director of Global Product Marketing Chris Thorson in Techstination interview. Amazon Future Engineers program provides computer science courses & more. Amazon STEM Ambassador Allison Flicker chats with Techstination. Samsung's Galaxy S10 line up arrives. 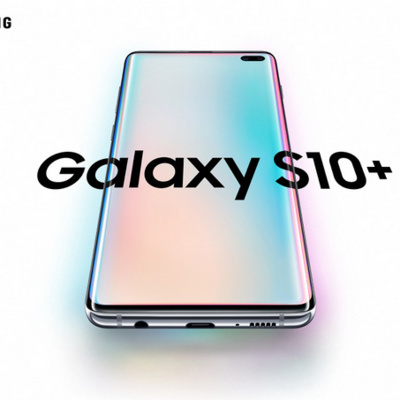 Samsung’s new Galaxy S10 phones have arrived featuring three different flavors…the S10e, The S10 and the S10 plus. This summer the S10 5G is due to join the line up. 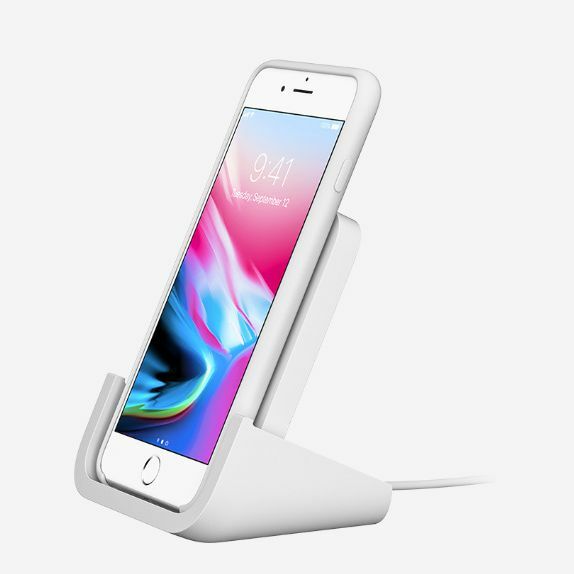 The new devices are loaded with new features…like Wireless PowerShare that can turn the phones into wireless chargers for other devices that use the Qi standard for wireless charging. The camera features an ultra wide lens and digital stabilization for video. OWC Continues Growth and Expansion on Three Continents: Founder and CEO Larry O'Connor in Techstination interview. IDC forecasts double digital growth for wearables: Research Dir. 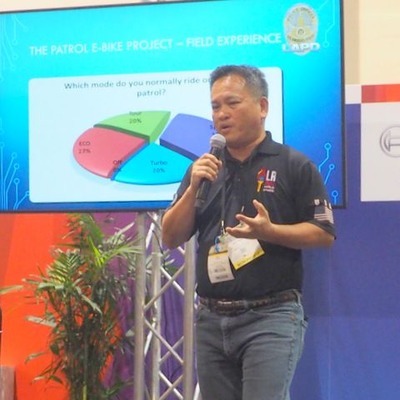 Ramon Llamas in Techstination interview. Autowit 12V Batteryless Portable Car Jump Starter & more. A combination air purifier and humidifier for your car or desk. Autowit’s Fresh 2 is about the size of large travel mug and does an impressive job of delivering cleaner air with a Nanosilver pre filter, a HEPA filter and an activated carbon filter. And you have the option of adding water to a chamber to add moisture to the air. 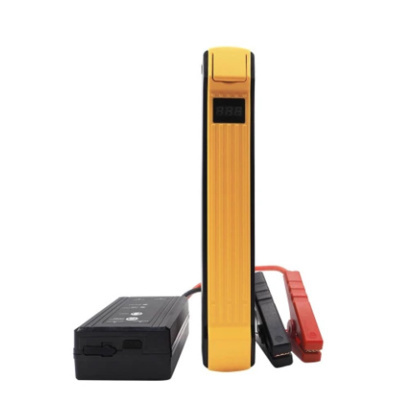 The brand, part of Gen High Tech, is perhaps best known for its Super Capacitor Jump Starter. myChevrolet app now offers Vehicle Locate for parents and more. Today's Techstination. Using tech to stay warm in the great outdoors: Gobi Heat Today's Techstination. Powering your devices with Coal. Today's Techstination. TurboTax aims to streamline filing with new features. Today's Techstination. VTech unveils new LeapFrog handheld game. 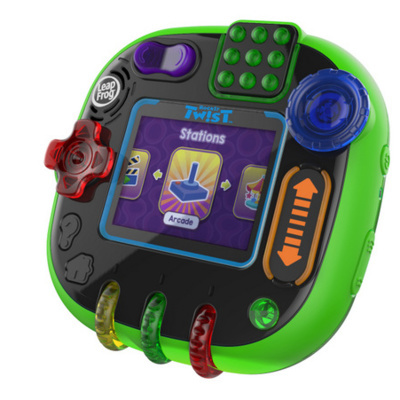 The Leap Frog brand at Vtech has come up with a new twist on handheld gaming for kids. The upcoming RockIt Twist is designed for four to eight year olds and will come with a dozen pre-loaded games…that are designed to be fun and educational. FedEx unveils autonomous local delivery bots. Today's Techstination. Samsung's Galaxy S10 line up hits stores tomorrow: Sr. Prod. Mktg. Mgr. Paul Guzek in Techstination interview. 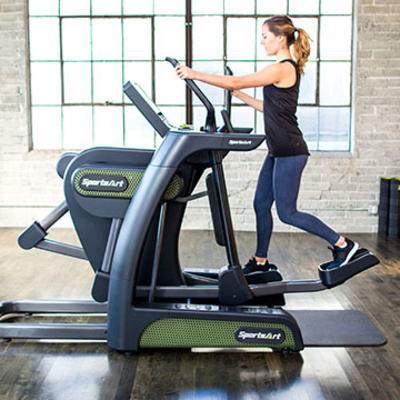 Mirror is the name of a new fitness system for the home that connects you to on demand or live workouts with professional trainers. It was created by entrepreneur Brynn Putnam…a former professional dancer at the New York City Ballet, Harvard grad and owner of the Refine Method fitness studios in New York…. 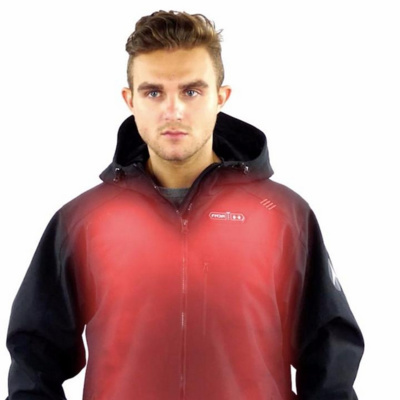 Gobi Heat grows heated apparel line: CMO Kyle Jacobson in Techstination interview. Loop engineers earplugs for safe, stylish music enjoyment. Live music is great….but I know first hand what it can do your hearing…for hours…days….or in some cases permanently. A company called Loop has engineered earplugs that allow you to enjoy music…while protecting your hearing. Our testing has found Loop to be comfortable, stylish and most important of all…effective. What's different about Helm Audio's True Wireless Headphones? 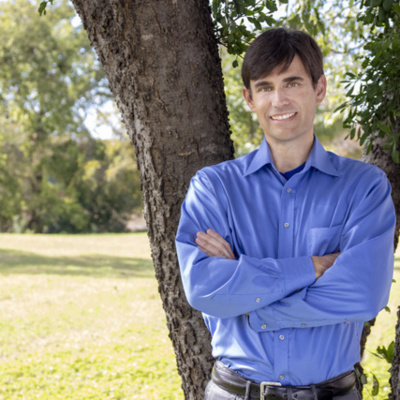 : CEO Eric Johnson in Techstination interview. 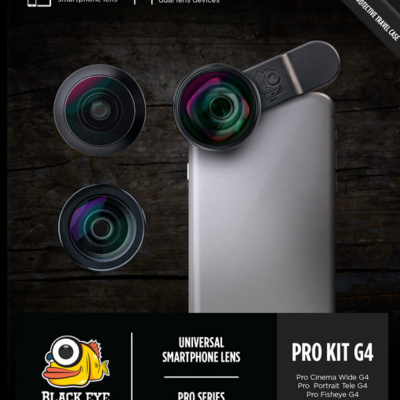 Black Eye Pro Kit G4 lenses for mobile photos and video: CEO Olli Osara in Techstination interview. 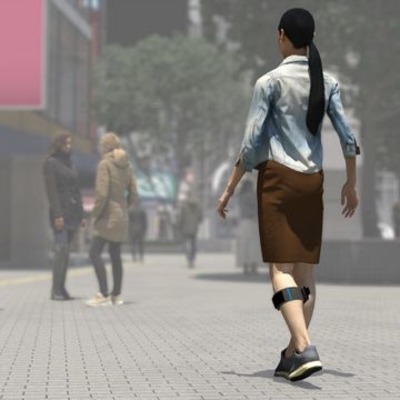 Evolution Devices among finalists for Toyota's Mobility Unlimited Challenge. Using technology to improve the lives of millions of people with lower limb paralysis is the goal of the Mobility Unlimited Challenge…sponsored by the Toyota Mobility Foundation and the Nesta Challenge Prize Center. Five finalists are receiving grants of 500 thousand dollars…with the final winner of the challenge…being selected next year….receiving one million dollars. 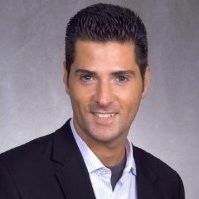 Among the finalists is Evolution Devices…where Pierluigi Montovani is co-founder and CEO.. 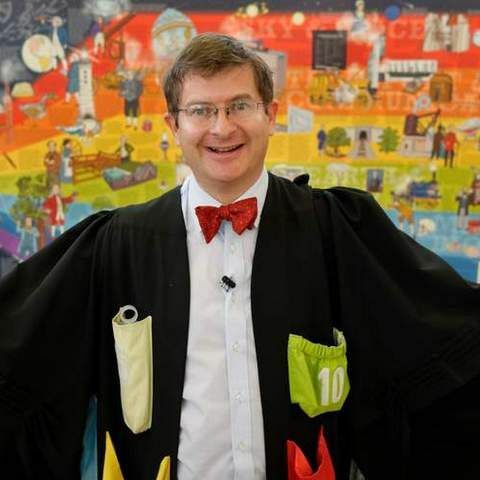 Early learning goes online:Waterford Institute Upstart Online education has been around for many years now…and for parents of pre-schoolers…the ability to bring early education into the home …can be a tremendous help. The non-profit Waterford Institute has been working with a variety of states to make its kindergarten readiness curriculum available. And they are working on a version that will be directly available to consumers as well. 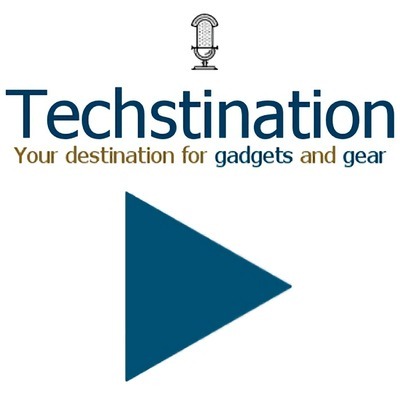 Techstination Week is a compilation of this week's Techstination reports with technology journalist and host Fred Fishkin. 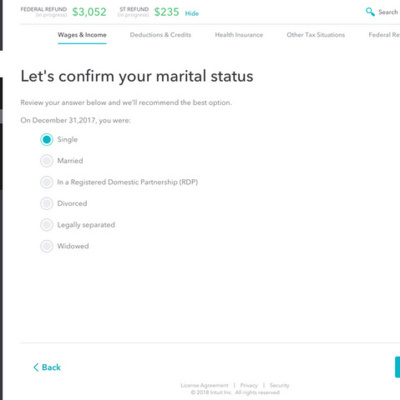 From Free to Self Employed versions TurboTax adds streamlining features. From Free to Self Employed versions TurboTax adds streamlining features. CPA and TurboTax Expert Lisa Greene-Lewis in Techstination interview. Amazon wants to deliver to your garage in partnership with Chamberlain. Amazon is working to make it easier and more secure to get deliveries into your home…even when you are not there. Not everyone is comfortable with the idea of giving front door access for deliveries when they aren’t around…but what about access to your garage. Amazon is partnering with the Chamberlain Group to give homeowners that option. 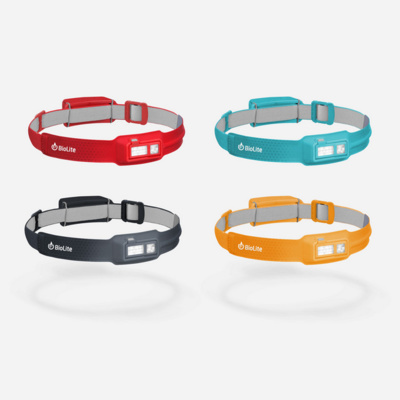 Akervall's smart mouthguard that measures head impact: CEO Sassa Akervall in Techstination interview. 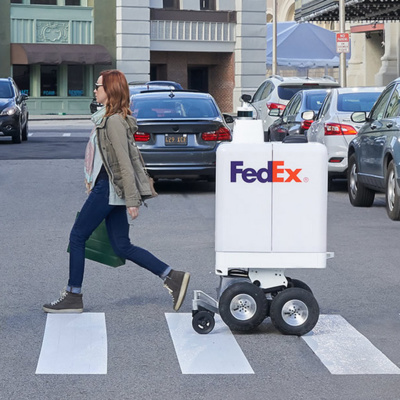 FedEx unveils autonomous local delivery bots: FedEx Office CEO Brian Phillips in Techstination interview. Raven from KlashWerks brings safety and security to vehicles. I’ve been testing a device designed to smarten up your car from a company called KlashWerks. Raven plugs into your vehicle’s OBD II port, gives you a heads up turn by turn navigation display….as well as forward and rear facing cameras. 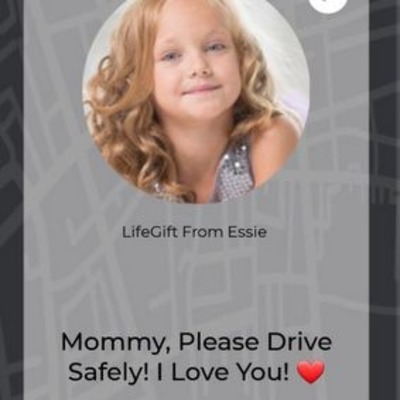 There are important safety features…that can alert parents for instance if a young driver is speeding or braking hard…with the ability to remotely monitor the cameras. Trip information can be shared too. With a sim card installed Raven can also act as an LTE hot spot. Data sharing enabling more effective law enforcement & security. Central Square Technologies Dir. of Product Management Rich LeCates in Techstination interview. We’ve had a chance to have some hands on time with Meural…powered by Netgear… that is focused on bringing art into the home with beautiful connected and framed digital displays. It comes with access to good selection… with a subscription…50 dollars a year…you have access to Meural’s full collection from leading museums and artists from all over the world. And you can show off your own images as well. Meural is available now…but the next gen arrives in the summer. Dolby plays key role in many Oscar movies. Not only were the Academy Awards once again at the Dolby Theater in Hollywood….but the audio and video technology company played a prominent role in many of the films that were up for awards. Financial planning help? Prudential offers Link . Today's Techstination. Autowit 12V Batteryless Portable Car Jump Starter & more: Gen High Tech's Minming Gu chats with Techstination. myChevrolet app now offers Vehicle Locate for parents and more. Anker's latest Liberty Air earphones and hybrid portable charger. The latest true wireless earphones from the folks at Anker are the impressive Liberty Air. 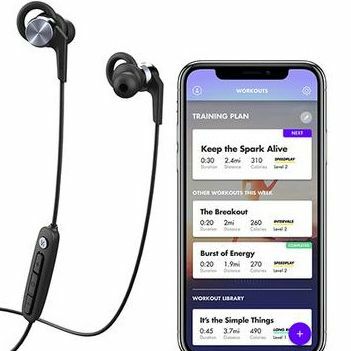 They are waterproof enough for the gym…have a variety of tips for comfort…battery life of about five hours on a charge…sound very good and sell for under 80 dollars. 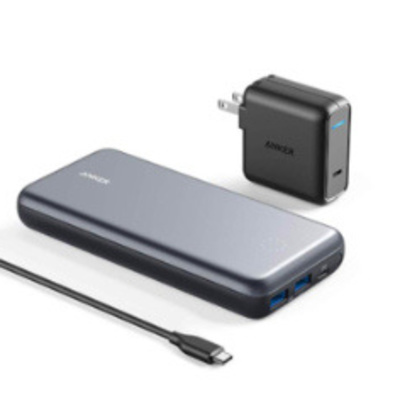 Also new is Anker’s PowerCore+ 1900 PD Hybrid Portable Charger and USB C Hub. Powering your devices with Coal: CMO Elizabeth Sanderson on Coal Catalyst line in Techstination interview. 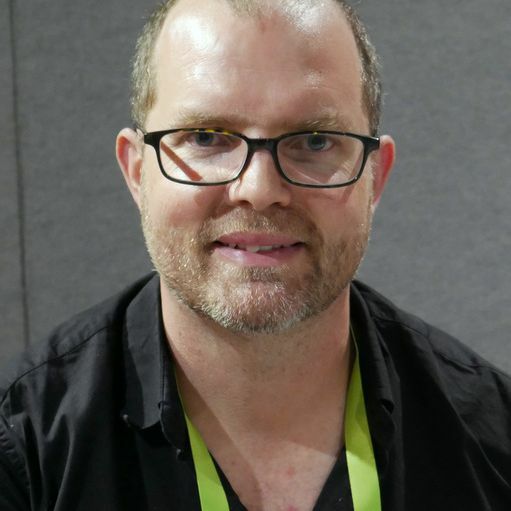 Dolby plays key role in many Oscar nominated movies: film expert Mark Hughes chats with Techstination. Using AI to create flavor combinations: IBM & McCormick. Creating flavor combinations using artificial intelligence. IBM Research has partnered with McCormick to create a line of one dish recipe mixes that will soon be on the market. 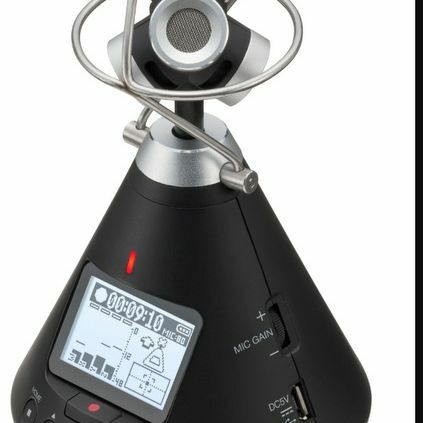 Zoom continues audio recording innovation. Zoom is a company that has been around for years creating versatile recording gear, whether you need a recorder to take along in your pocket or to record that band…or sound for video. The company has a new H3 VR is an incredibly compact device using ambisonics to record immersive sound. Ecovacs launching AI powered vacuum robot. 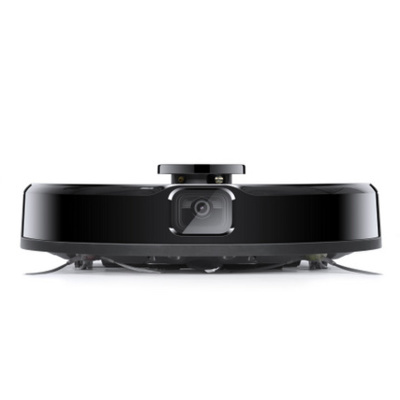 covacs is a company that has been winning lots of fans for its affordable line of Deebot floor cleaning robots and Winbot window cleaning robots. Performance is impressive and entry level pricing is under two hundred dollars. And the next generation…the Deebot Ozmo 960…will include artificial intelligence. 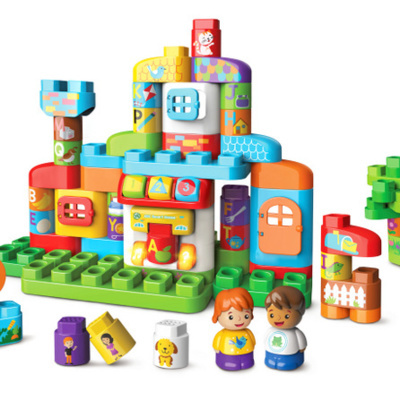 VTech unveils new LeapFrog handheld game & building sets & robotic Unicorn. 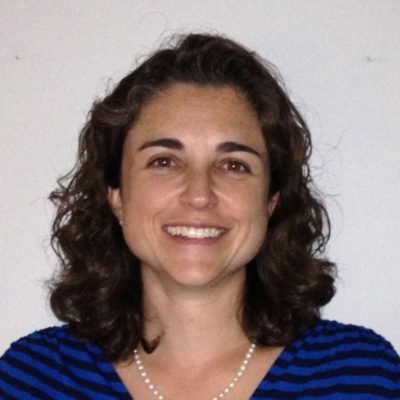 VTech's Tiffany Lavery chats with Techstination. Katana Safety device adds emergency help functions to phones . Today's Techstination. Audio recording? 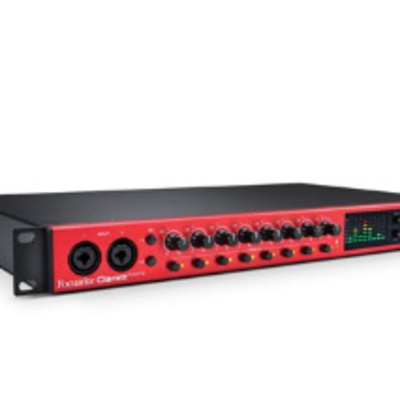 FocusRite's Clarett Pre USB Line produces pro sounding results. FocusRite's Dan Hughley in Techstination chat. Caavo's Control Center designed to end remote clutter. Today's Techstination. Loop engineers earplugs for safe, stylish music enjoyment. 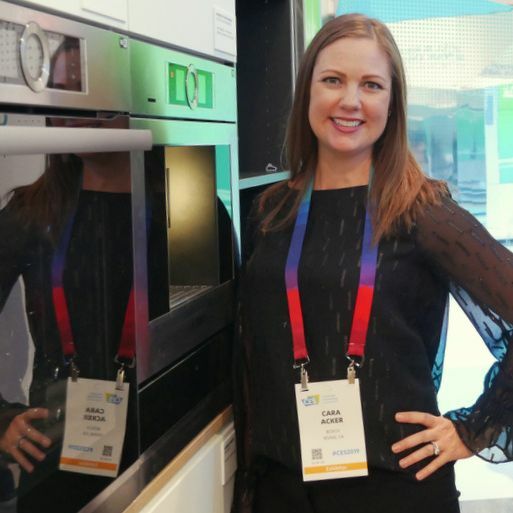 Gourmia shows off latest connected kitchen gadgets. Gourmia is adding more smarts to the company’s line up of small kitchen appliances and gadgets. 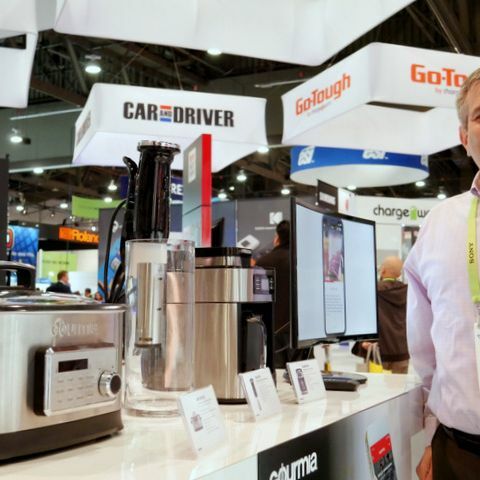 Gourmia has had a connected coffee maker and grinder on the market and a Sous Vide digital cooker, and there is more to come, including a new connected multi-cooker. Using your phone to make your feet more comfortable: Dr. Scholl's. 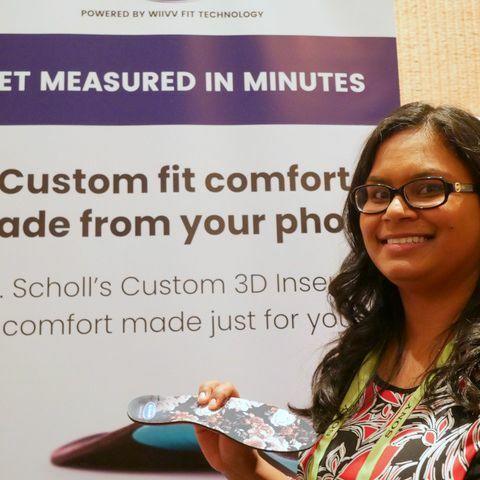 Using your phone to make your feet more comfortable: Dr. Scholl's. Today's Techstination. Using your phone…to make your feet more comfortable. Dr. Scholl’s has launched an app that lets you scan your feet to create 3D Custom Inserts for your shoes. You can design them yourself too. 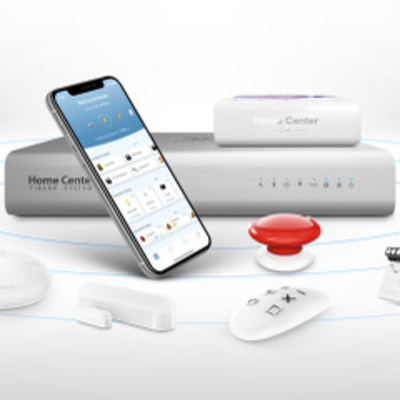 Hubitat promises smart home hub that won't quit. Features? : Dir of Prod. Dev. Patrick Stuart. 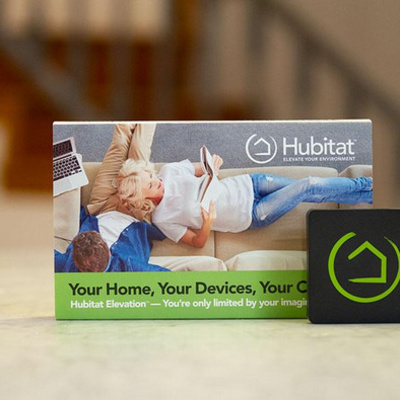 Hubitat promises smart home hub that won't quit. Features? : Dir of Prod. Dev. 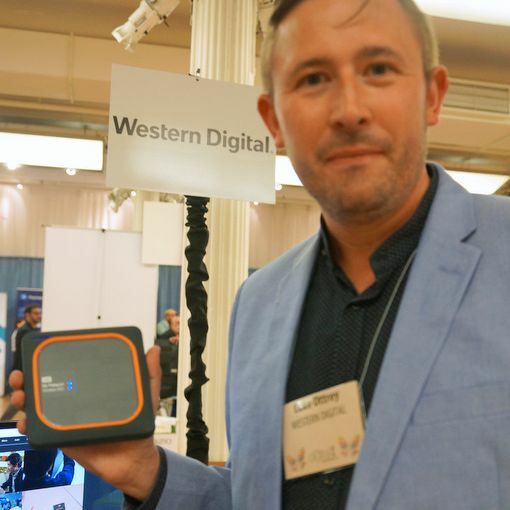 Patrick Stuart in Techstination interview. Early learning goes online:Waterford Institute Chief Upstart Officer Claudia Miner chats with Techstination. Finding flavors using AI: McCormick partners with IBM Research. IBM principal researcher & computational creativity research group manager Dr. Richard Goodwin in Techstination interview. Anker brings affordability to wireless Liberty Air earphones & new charging line. 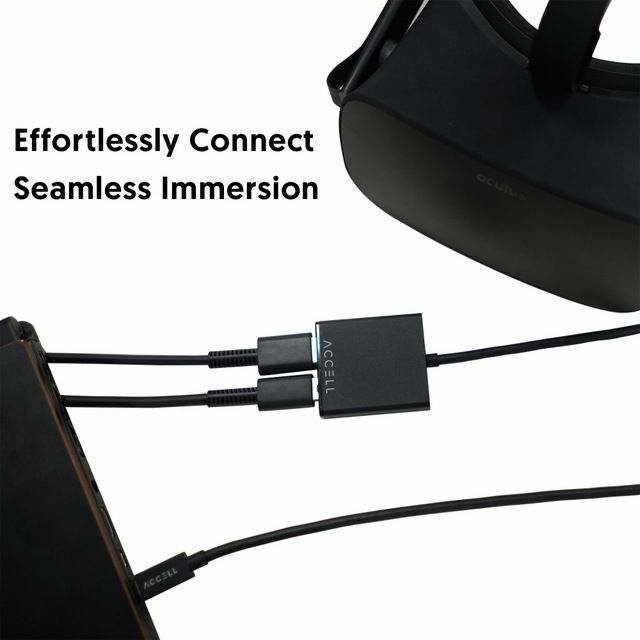 Anker's Tyler Mallory chats with Techstination. 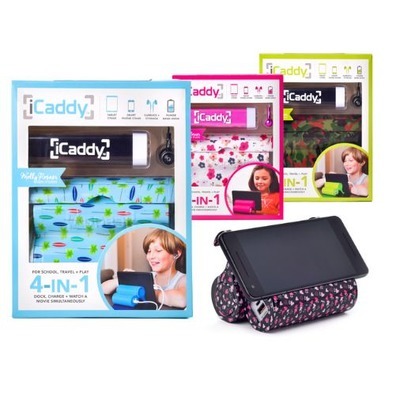 Brother helps little sister bring iCaddy phone/tablet stand to market. Today's Techstination. The moving story behind Toyota Mobility Unlimited Challenge finalist Evolution Devices. Co-founder and CEO Pierluigi Mantovani in Techstination interview. 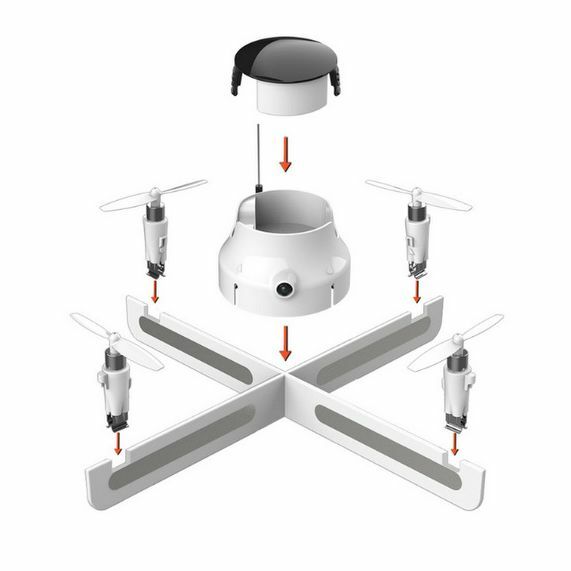 Sunflower Labs designs home security system with drone. Today's Techstination. 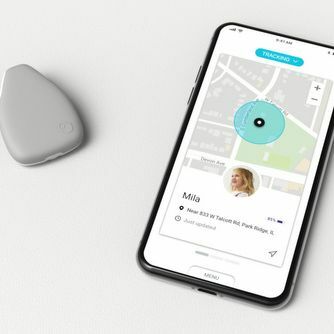 Bosch unveils new connected applicances. Today's Techstination. Unagi Scooters lowers prices, goes direct to consumers: CEO David Hyman chats with Techstination. 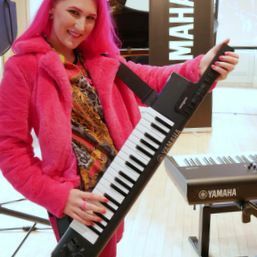 Yamaha's new keytar...the Sonogenic SHS-500 arrives. Today's Techstination. 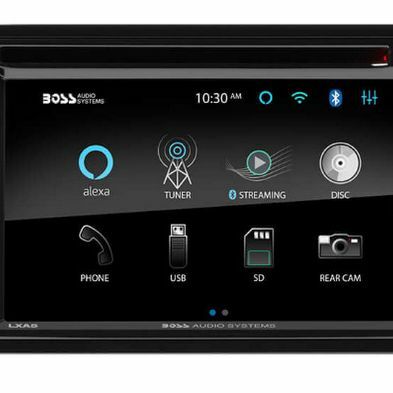 Boss Audio brings up to date entertainment and Alexa to older cars. VP Xin Hamilton in Techstination interview. Assurant aims to give peace of mind to consumers. Today's Techstination. 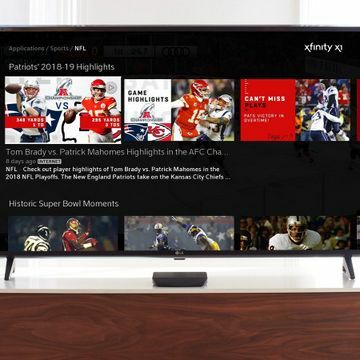 Verizon invests big in getting network Super Bowl ready: VP Andrea Caldini chats with Techstination. 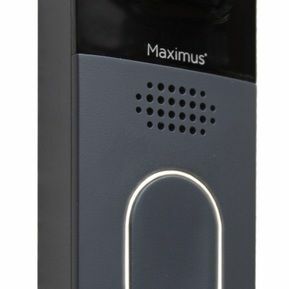 Maximus designs dual camera video doorbell. Today's Techstination. 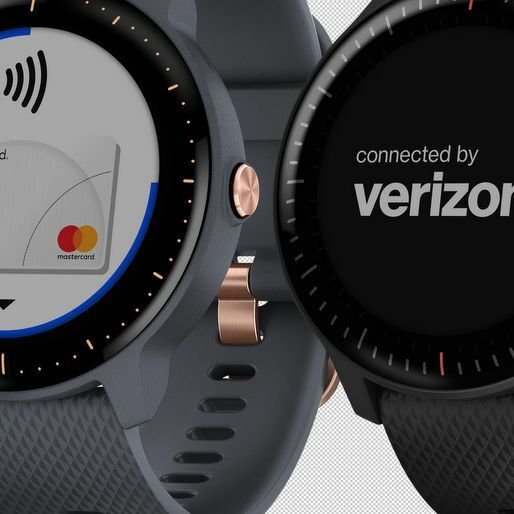 Safety & smarts: Garmin launching vivoactive 3 Music connected by Verizon. Garmin's Andy Beckman in Techstination interview. Microsoft pushing affordability and accessibility for education: VP Anthony Salcito chats with Techstination. 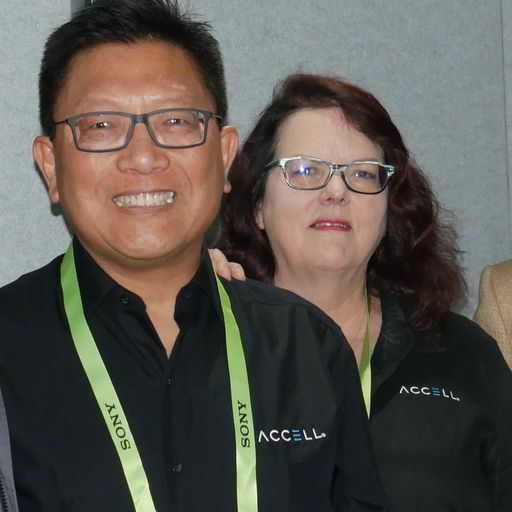 Accell's next gen portable EV charger coming soon. Today's Techstination. Lifx adding touch to Tiles and more. Today's Techstination. Scott's Miracle-Gro Twelve indoor growing system coming: SVP Mike Sutterer chats with Techstination. 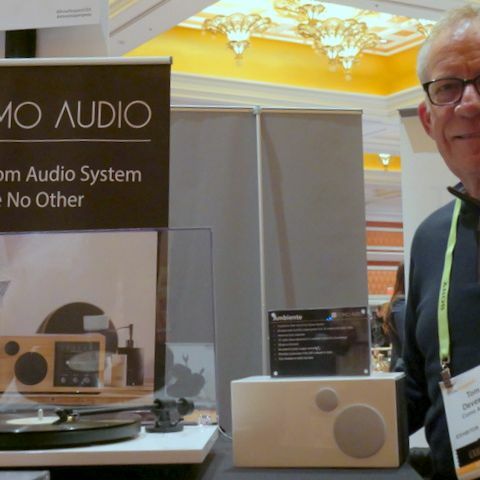 Como Audio adding Alexa control and turntable: Founder Tom DeVesto chats with Techstination. Amazon wants to deliver to your garage in partnership with Chamberlain. Techstination interview with Amazon Key GM Rohit Shrivastava. Samsung shows evolution of modular 8K Micro LED screens. Today's Techstination. Katana Safety device adds emergency help functions to phones: CTO Chris Jones in Techstination interview. HandL New York grows line of clever & artistic phone cases. 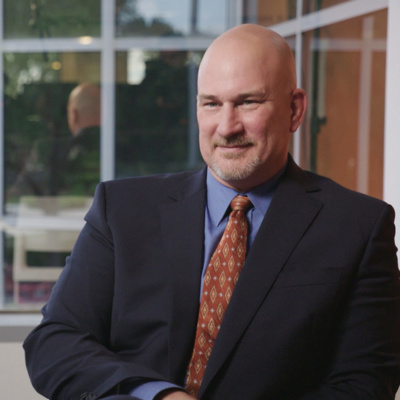 Partner Brad Satz in Techstination interview. 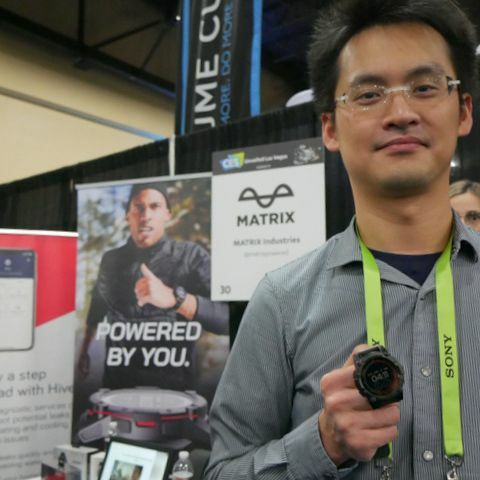 PowerWatch II powered by heat & light: Matrix Industries' Dr. Douglas Tham in Techstination interview. New keyboards from Yamaha continue innovative tradition. Today's Techstination. 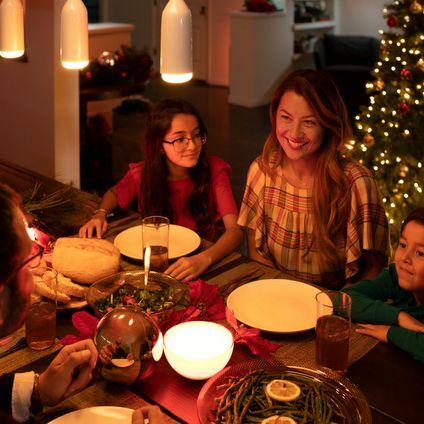 Philips Hue line continues to grow...beyond lights: Prod. Mktg. Dir. Mike Deschamps chats with Techstination. Ready for WiFi 6? 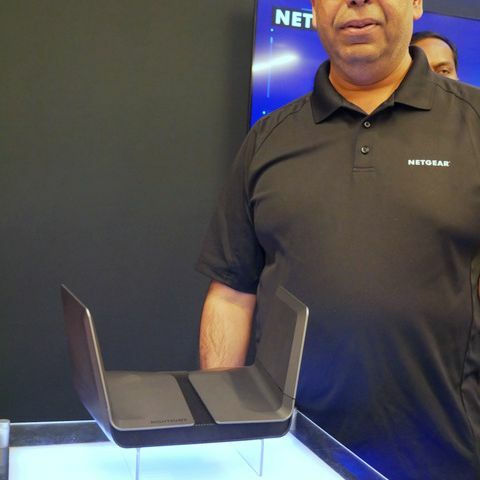 Netgear VP Sandeep Harpalani chats with Techstination. 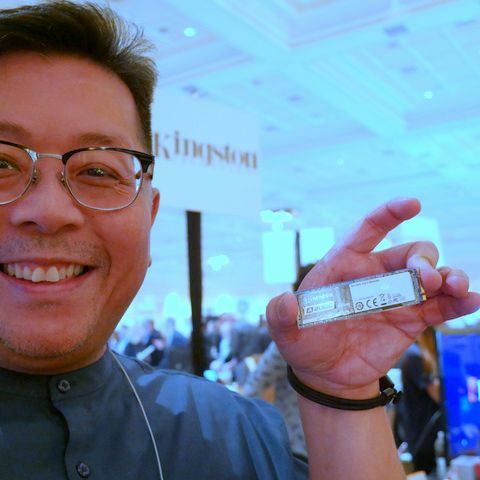 Kingston memory embedded in many devices: David Leong chats with Techstination. 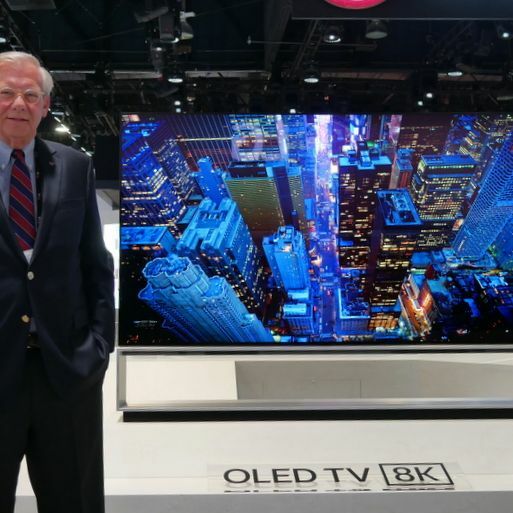 LG wows with rollable 8K TV at CES. Today's Techstination. Google Assistant getting smarter. Conversation translations in real time. 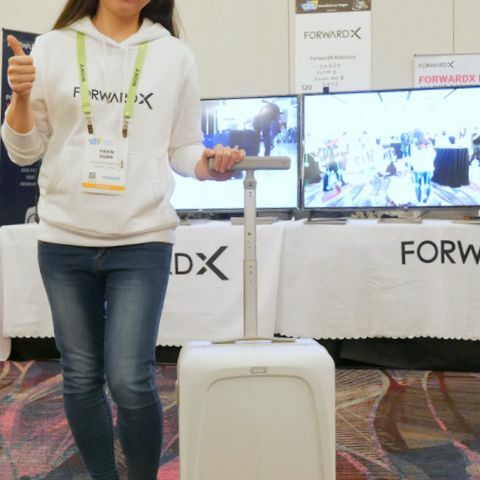 ForwardX brings AI to suitcases and more: COO Yaxin Guan chats with Techstination. Gourmia shows off latest connected kitchen gadgets: Marketing Head David Rosenfeld in Techstination interview. Caavo's Control Center designed to end remote clutter: CEO Andrew Einaudi in Techstination interview. 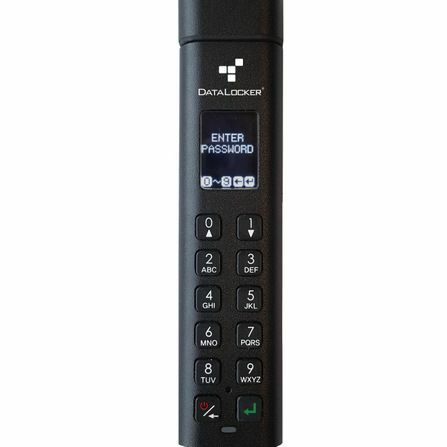 DataLocker offers USB flash drives with keypad security. Today's Techstination. 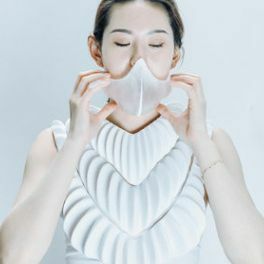 Amphibio's 3D printed artificial gills perhaps 3 years away? 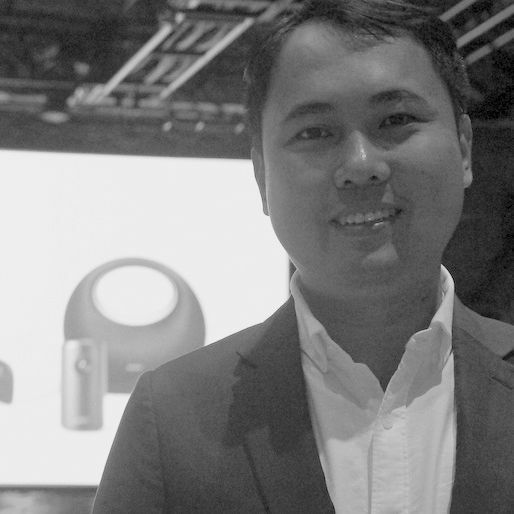 :researcher-designer Jun Kamei in Techstination interview. 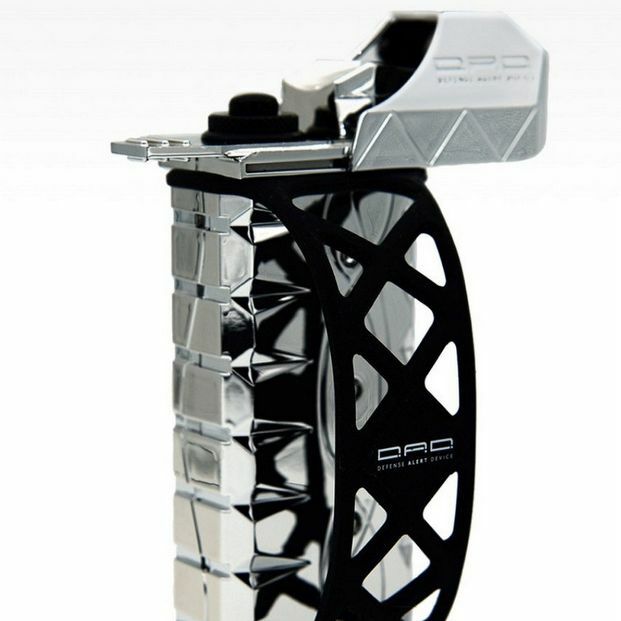 Puro Sound Labs grows protective headphone line. Today's Techstination. 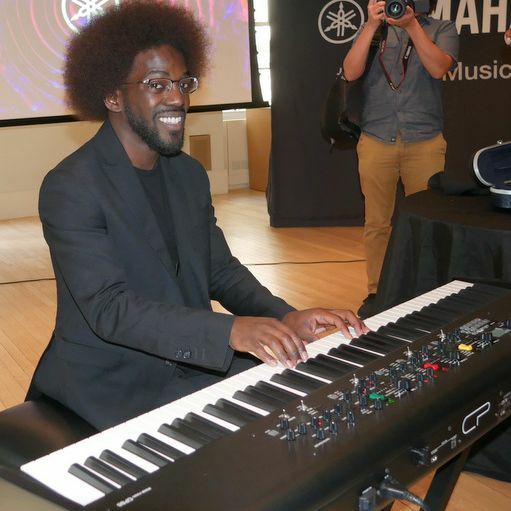 Producer, song writer Will Wells performs and chats about Yamaha's new CP 88 keyboard. 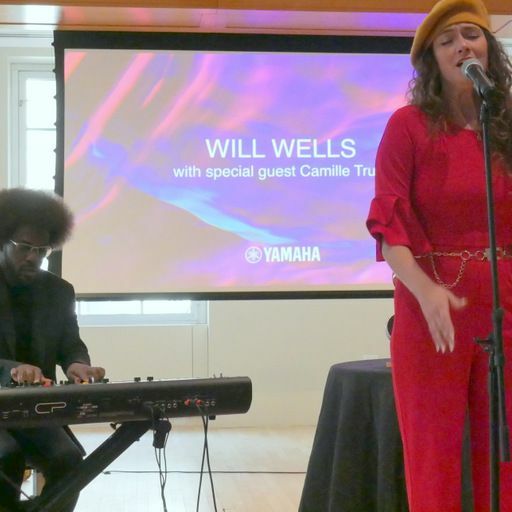 Techstination interview...including Will's performance with Camille Trust. TechDen's innovative storage solution to control screen time for kids: CEO James Symons chats with Techstination. 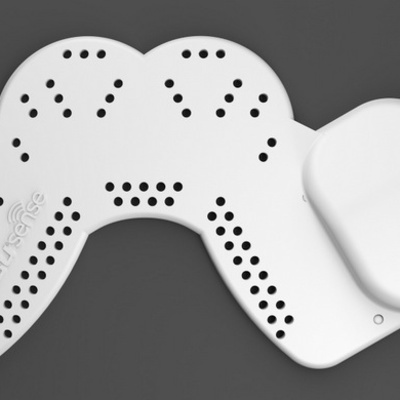 DFree uses ultrasound and Bluetooth to prevent bladder accidents. Today's Techstination. 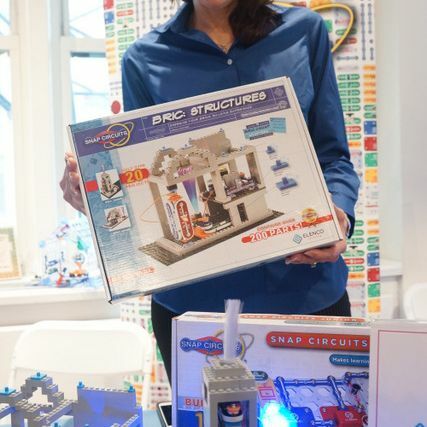 Elenco's Snap Circuits Bric Structures contends for Toy of the Year. Today's Techstination. 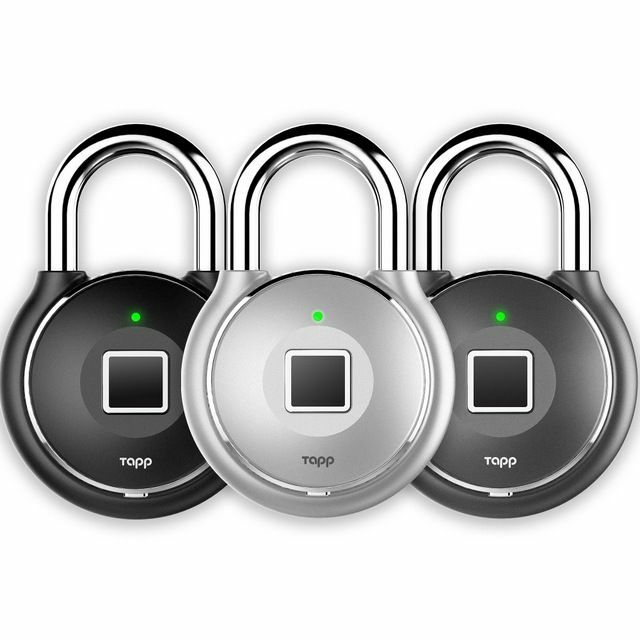 Tapplock grows line of smart fingerprint padlocks. Today's Techstination. 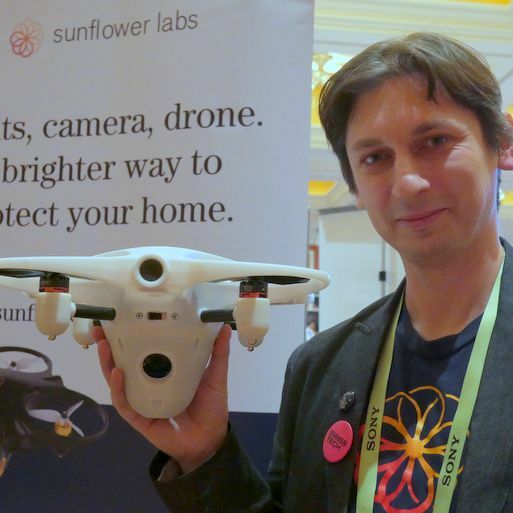 A drone designed to guard your home: Sunflower Labs CEO Alex Pachikov in Techstination interview. 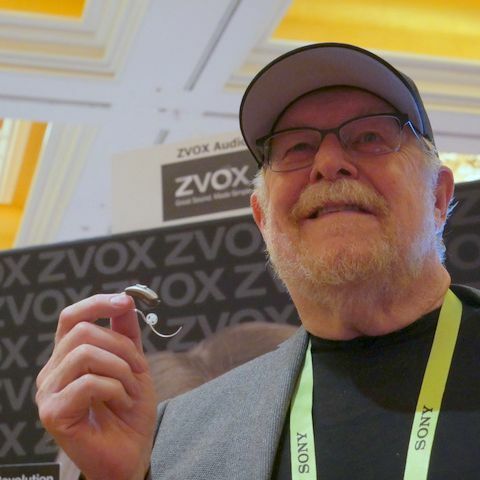 ZVox Audio making hearing help affordable with Voice Buds: CEO Tom Hannaher in Techstination interview. Bosch unveils new connected applicances at CES: Sr. Brand Mgr. Cara Acker chats with Techstination. 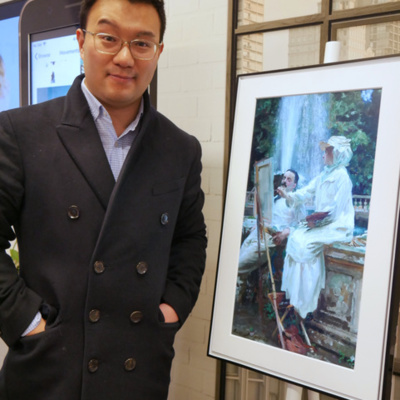 Meural powered by Netgear brings fine art home: co-founder Jerry Hu chats with Techstination. 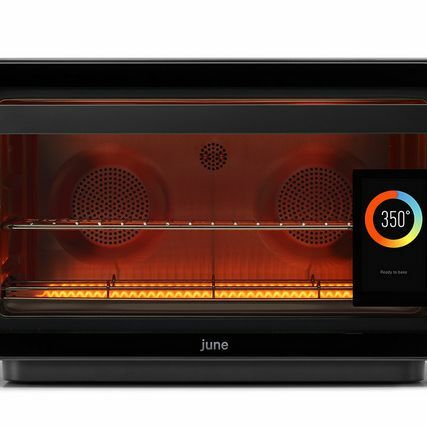 A new, less pricey June Oven is on the way: co-founder Matt Van Horn in Techstination interview. 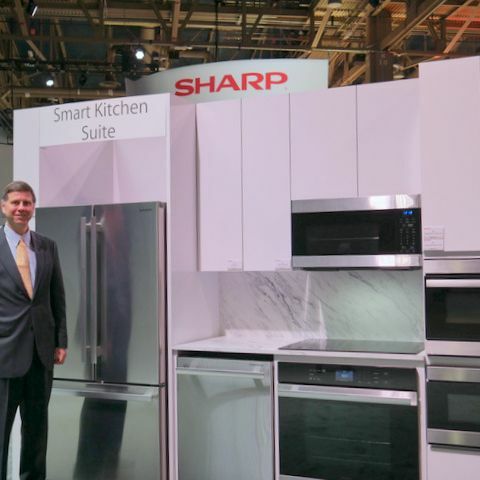 Sharp grows smart kitchen line & more: Sharp Home Electronics Pres. Jim Sanduski in Techstination interview. Lifx adding touch to Tiles and more: Co-founder Marc Alexander & CEO Tim Peters in Techstination interview. 1More's VI React headphones can help with fitness goals. Today's Techstination. 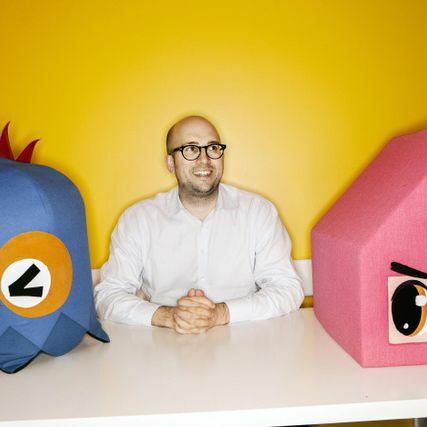 Toca Boca founder focusing on parental well being with Enjo app. Today's Techstination. Some key people behind Google Assistant show new capabilities at CES. 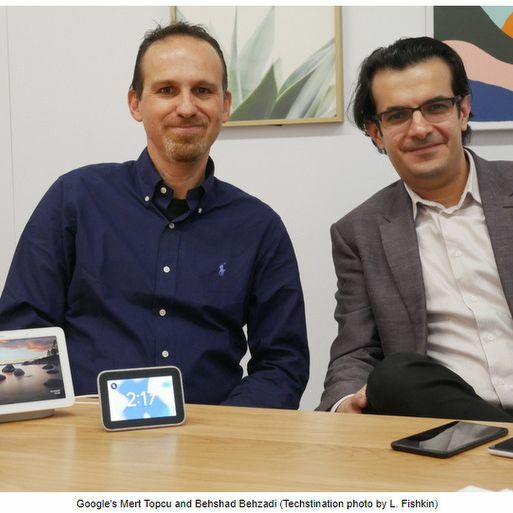 Google's Behshad Behzadi and Mert Topcu in Techstination interview. 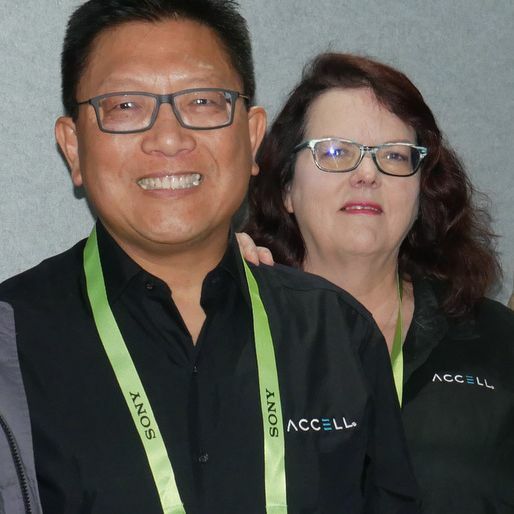 Accell's next gen portable EV charger coming soon: VP Tenny Sin in Techstination interview. 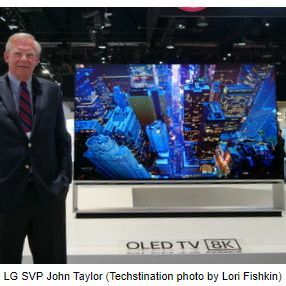 LG wows with rollable 8K TV at CES: SVP John Taylor in Techstination interview. LifeSheild growing home security line up. Today's Techstination. 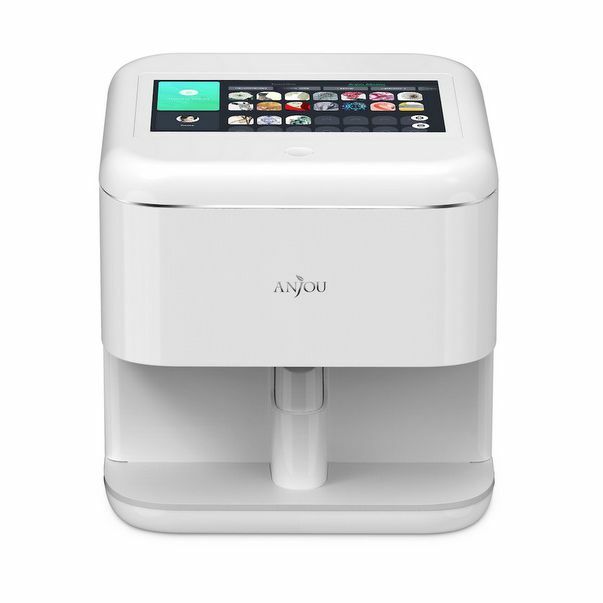 VAVA announces new cameras and Anjou Nail Art Printer. 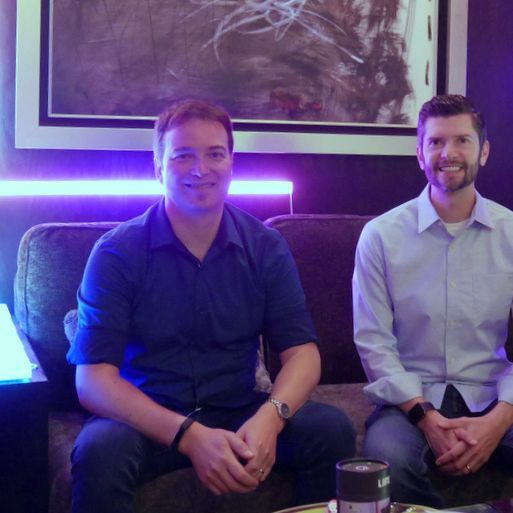 CES Techstination interview. Corel acquires Parallels. What will it mean for customers? Corel acquires Parallels. What will it mean for customers? Today's Techstination. 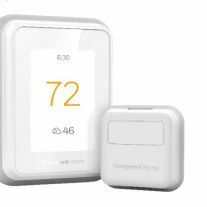 Multi room comfort coming in Honeywell Home T9 connected thermostat. Dir. of Product Marketing Chris Heintzelman chats with Techstination. 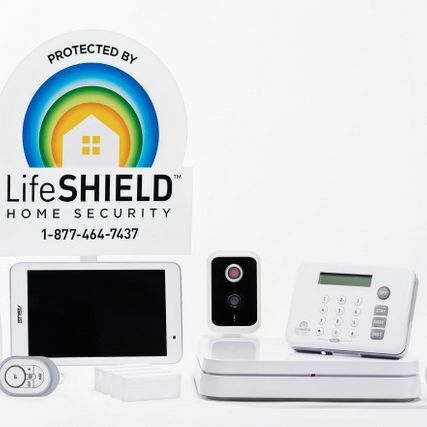 First Alert unveils latest in Onelink line: Brand Mgr. Ashley Gocken in Techstination interview. 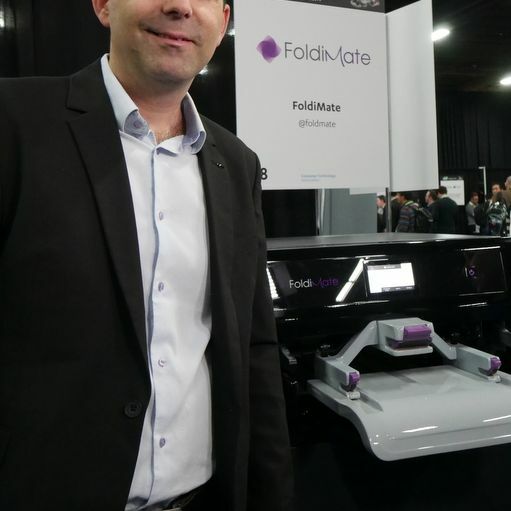 CES fun: FoldiMate's clothes folding robot: CEO Gal Rozov chats with Techstination. 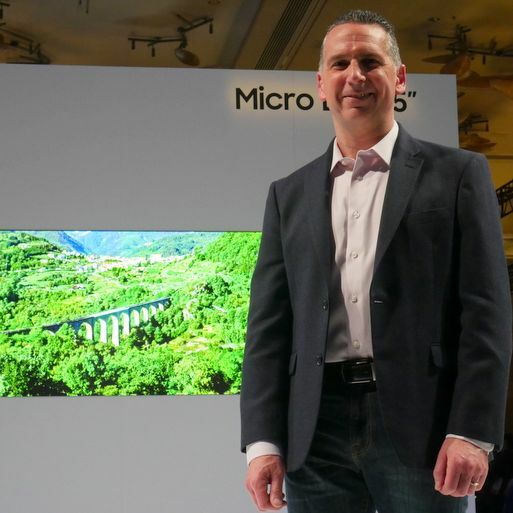 Samsung shows evolution of modular 8K Micro LED screens: VP Andrew Sivori in Techstination interview from CES. 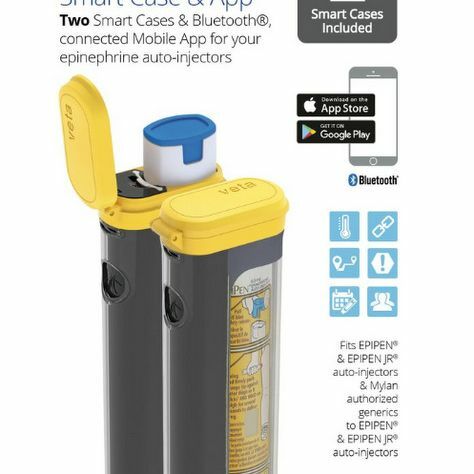 Aterica Veta smart case & app for EpiPen can help save lives. Today's Techstination. Ecovacs launching AI powered vacuum robot. Techstination interview with VP Scott Ledterman. 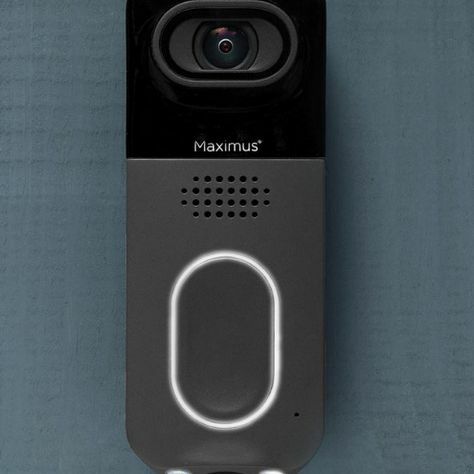 A dual cam video doorbell coming from Maximus: CEO Mark Honeycutt in Techstination interview. 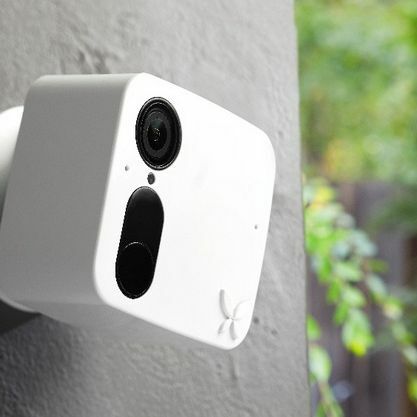 Ooma's new indoor/outdoor Smart Cam designed to be affordable and smart. Techstination interview with Ooma's Mike Langberg. Volt Heat uses tech to keep you warm. Today's Techstination. AI everywhere: IBM Research AI Tech Manager Dr. John Smith. 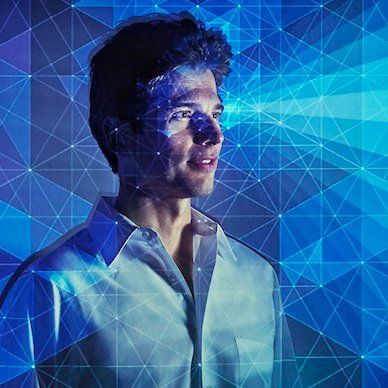 AI everywhere: IBM Research AI Tech Manager Dr. John Smith. Today's Techstination. Young entrepreneur creates iCaddy charging stand for phones & tablets. 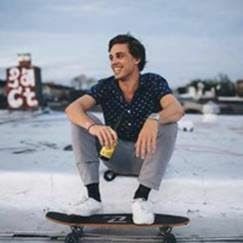 Founder Chris Bocci in Techstination interview. Alexa and Google Assistant change our homes and lives. Today's Techstination. 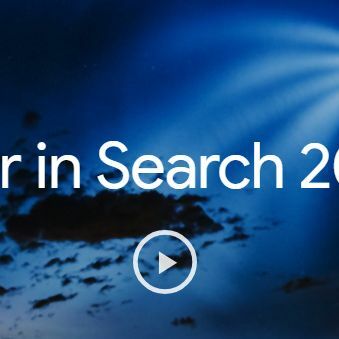 So what were the top search trends of 2018? So what were the top search trends of 2018? Today's Techstination. 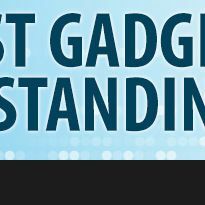 The finalists for Last Gadget Standing at CES 2019?... Founder Robin Raskin chats with Techstination. 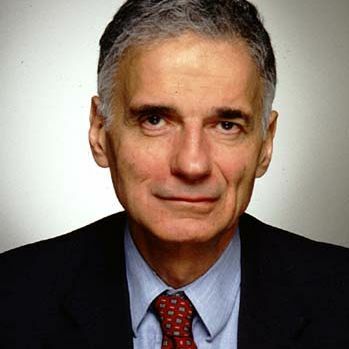 Ralph Nader urges caution on self driving cars. Today's Techstination. Amazon launches third annual Digital Day. One day only deals. 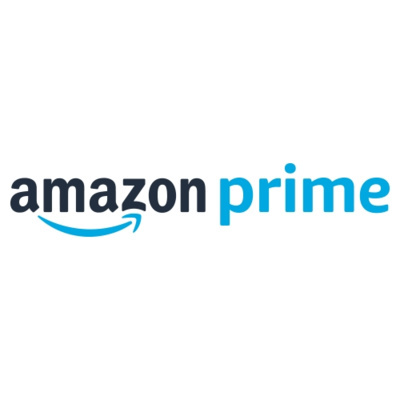 Amazon launches third annual Digital Day. One day only deals. 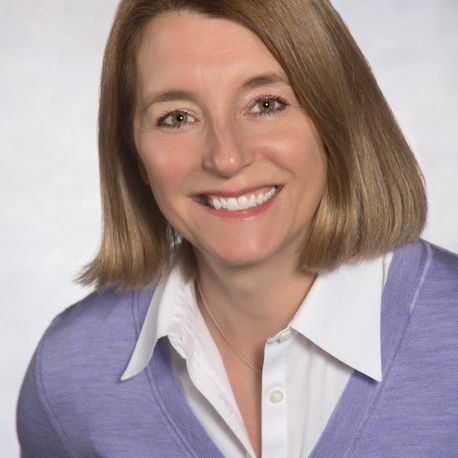 Amazon's Kim Cowser chats with Techstination. Intelliarmor's versatile Scout power pack arriving. Today's Techstination. Jiobit wearable tracker for kids and more: co-founder and CEO John Renaldi chats with Techstination. New camera? Cotton Carrier's Skout keeps it handy. New camera? Cotton Carrier's Skout keeps it handy. Chief Operating Partner Brook Parker chats with Techstination. More STEM for the new year? Elenco's Bric Structures. More STEM for the new year? Elenco's Bric Structures. 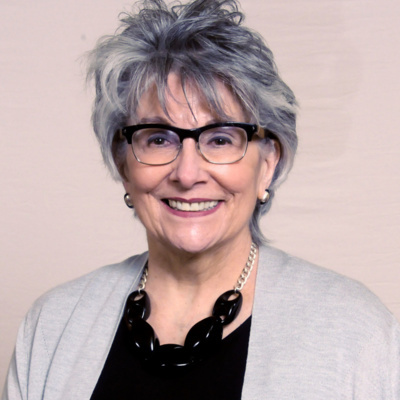 VP Linda Kramer in Techstination interview. 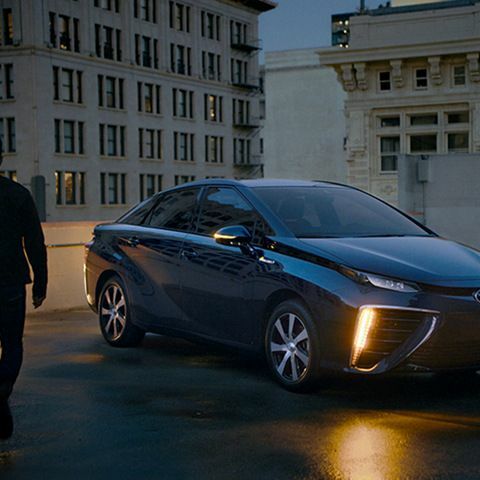 Toyota maps growth of hydrogen fuel cell powered Mirai. Today's Techstination. Time for accessories? 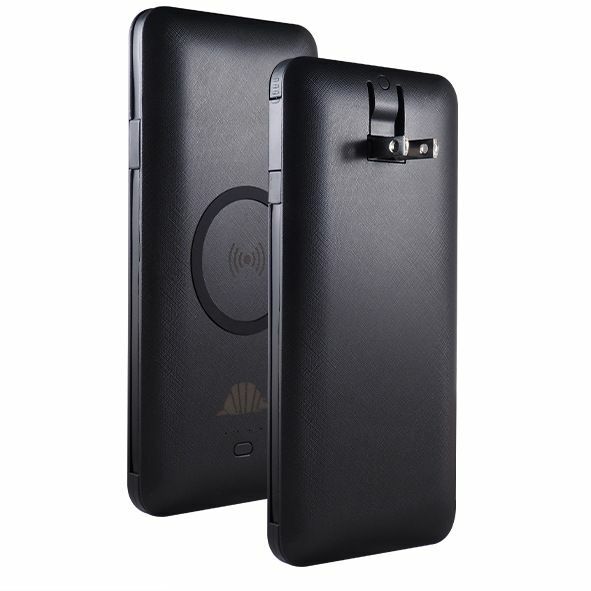 Altigo's cases, headphones and more. Today's Techstination. 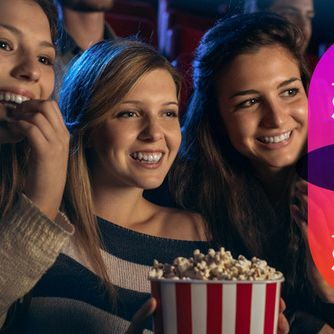 Sinemia movie subscription plans offer physical debit card option. Today's Techstination. Ready for resolutions? 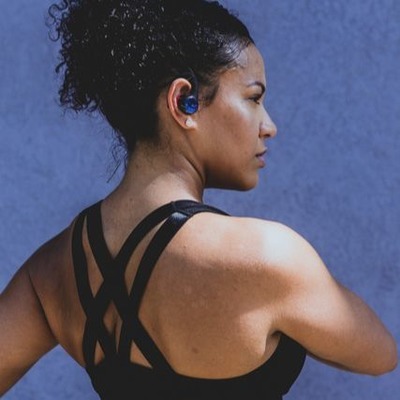 1More Vi React earbuds can coach you towards fitness. Ari Morguelan in Techstination interview. Last minute gift? 23&Me DNA Ancestry and Health kit. Today's Techstination. Vizio still offering TV deals. Today's Techstination. Tapplock grows line of smart fingerprint padlocks. Gloria Lopez-Gil of Tapplock in Techstination interview. 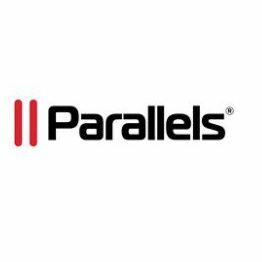 Corel acquires Parallels. What will it mean for customers? Corel EVP Gerard Metrailler and Parallels CEO Jack Zubarev in Techstination interview. Top toy searches this season? Google's Justin Burr. Today's Techstination. 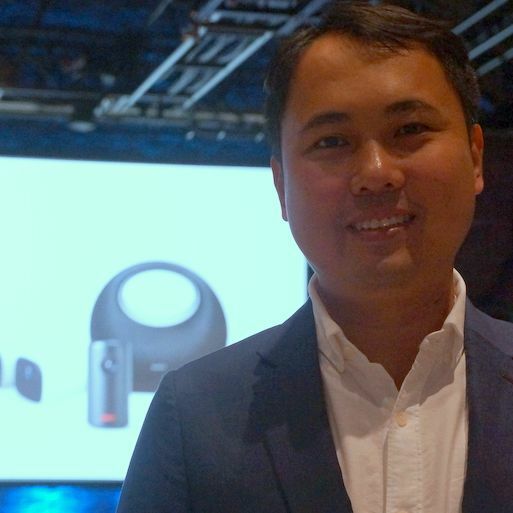 DFree uses ultrasound and Bluetooth to prevent bladder accidents: VP Ty Takayanagi chats with Techstination. 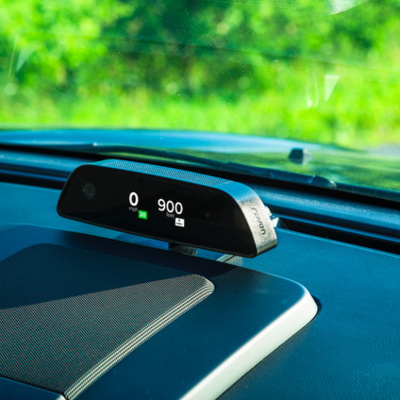 Raven aims to make any car smart: CEO Russell Ure chats with Techstination. Spin Master's Boxer...little robot packed with fun. Today's Techstination. 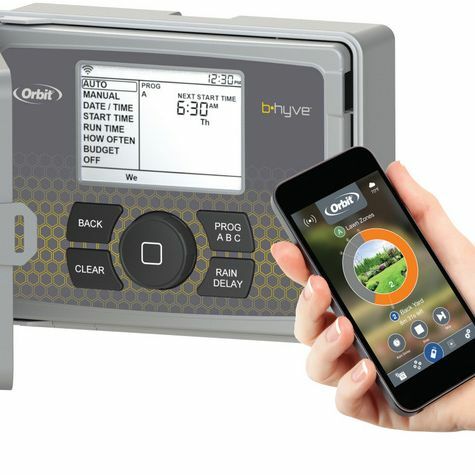 Saving water and adding convenience: Orbit's B-Hyve Smart Sprinklers. Orbit's Brad Wardle in Techstination interview. 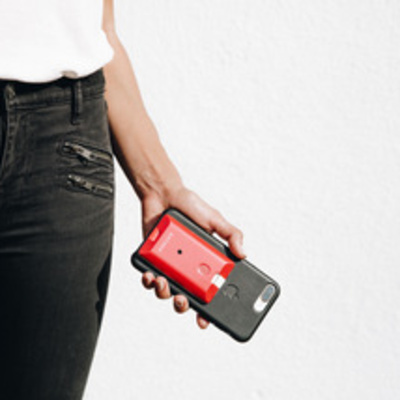 Aterica Veta smart case & app for EpiPen: CEO Alex Leyn chats with Techstination. 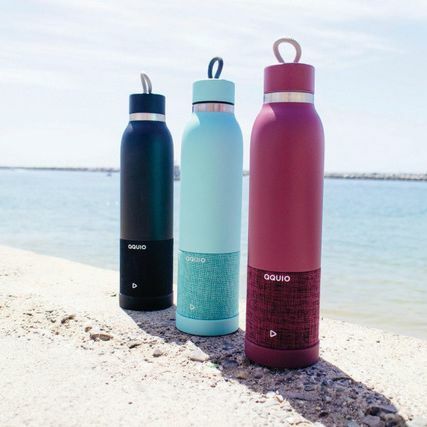 BioLite's gifts for outdoor enthusiasts. Today's Techstination. Adding some holiday and winter warmth with Volt Heat apparel. Today's Techstination. Lutron's Caseta makes smart lighting simple and reliable. 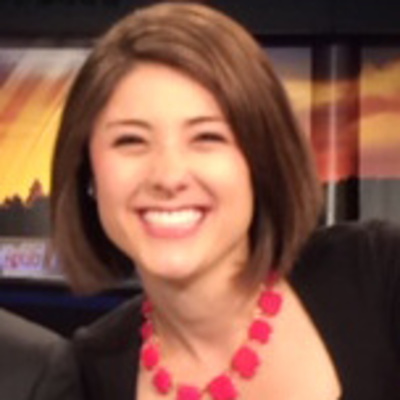 Communications Director Melissa Andresko in Techstination interview. Logitech's impressive new line up of peripherals. Today's Techstination. 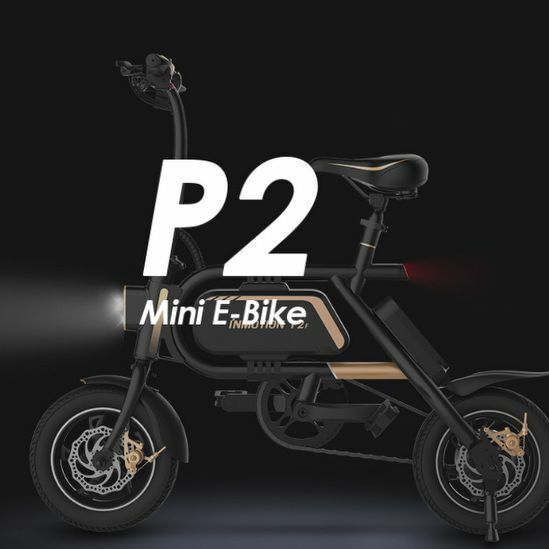 InMotion delivers e-bikes, scooters, uniciycles and Hover Shoes. Today's Techstination. AI everywhere: IBM Research AI Tech Manager Dr. John Smith in Techstination interview. Holiday party behavior? What your DNA can tell you: 23andMe's Jhulianna Citron chats with Techstination. 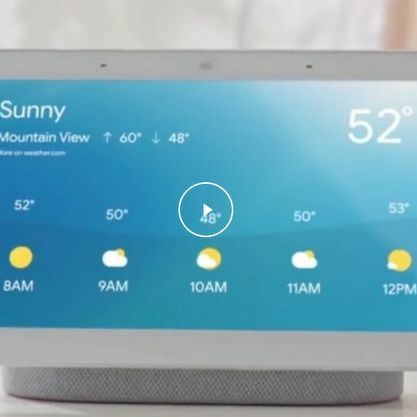 Smart speakers and displays for the holidays: iHome and Lenovo. Today's Techstination. Puro Sound Labs grows protective headphone line. Puro's Dave and Nicole Russell in Techstination interview. An app to make parenting and more less stressful: Enjo co-founder Bjorn Jeffery chats with Techstination. Singing Machine Studio adds Auto Tune, portability and more. Today's Techstination. Unique holiday tech gifts? Hammacher Schlemmer has you covered. 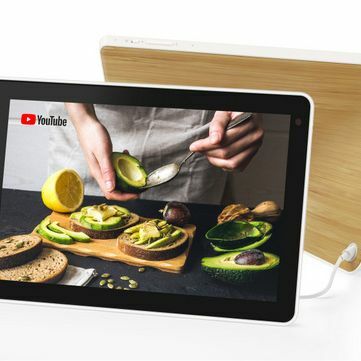 Unique holiday tech gifts? 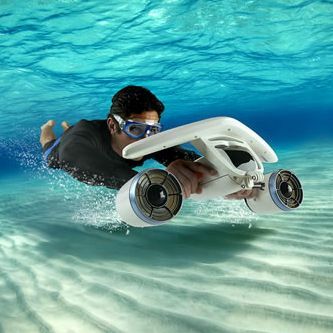 Hammacher Schlemmer has you covered. Today's Techstination. Top toy and gift searches? Google's Justin Burr chats with Techstination. Holiday mood lighting that you don't have to take down? Philips Hue solutions. Circuit Scribe's Drone Builder Kit fun and educational. Today's Techstination. 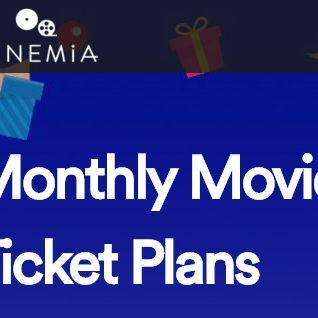 Sinemia movie subscription plans offer physical debit card option: CEO Rifat Oguz chats with Techstination. Zoom innovates with VR sound recording. Today's Techstination. 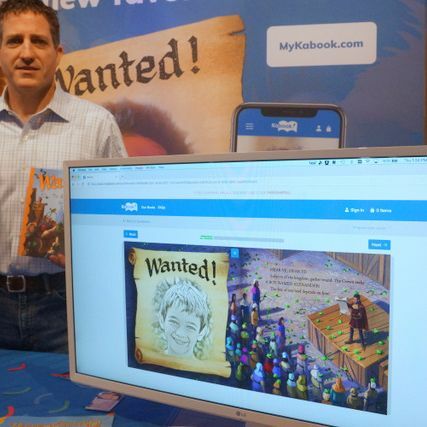 Kabook makes personalization of books for kids simple. Today's Techstination. Intelliarmor's versatile Scout power pack arriving: President Adam Anderson chats with Techstination. 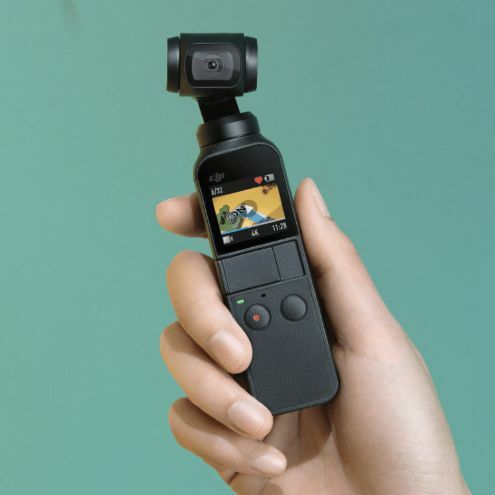 The cool stuff about DJI's new Osmo Pocket: Sr. Communications Mgr. Patrick Santucci chats wtih Techstination. Apple's new 12.9 inch iPad Pro outperforms many PCs. Today's Techstination. Ready for Hexbug Robotic Soccer? More fun with Hexbug line. Hexbug's Sydney Hanner chats with Techstination. Need a USB drive with added security? DataLocker CEO Jay Kim in Techstination interview. Looking for the most unique techie gifts? Hammacher Schlemmer's holiday guide. Looking for the most unique techie gifts? Hammacher Schlemmer's holiday guide. Hammacher's Director of Merchandising, Stephen Farrell in Techstination interview. 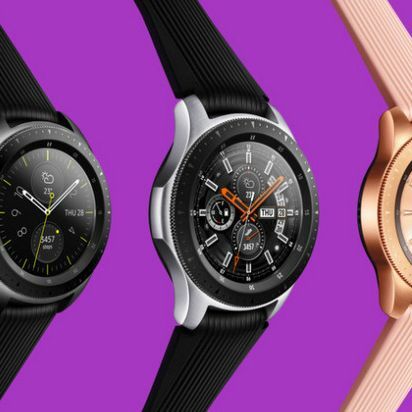 Samsung's Galaxy Watch proves versatile and smart. Today's Techstination. 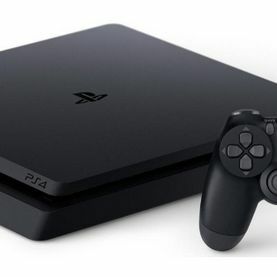 Sony's PS4 at five years old. Today's Techstination. Vizio expands TV voice control and more. Vizio expands TV voice control and more. Product Marketing Dir. 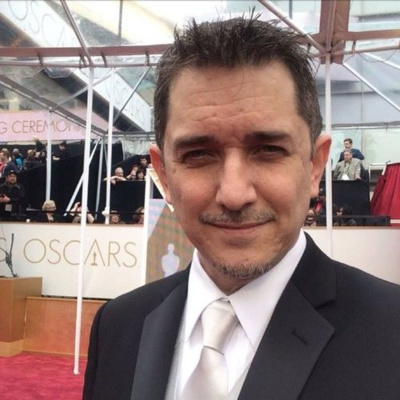 Carlos Angulo chats with Techstination. 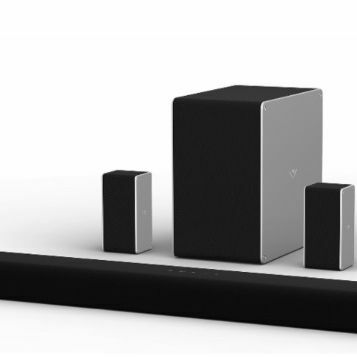 Vizio brings Dolby Atmos and smarts to sound bar line. Vizio's Jamie Marsh in Techstination interview. Holiday mood lighting that you don't have to take down? Philips Hue has tips. The gift of music? Hoffman Academy's online lessons. The gift of music? Hoffman Academy's online lessons. Today's Techstination. 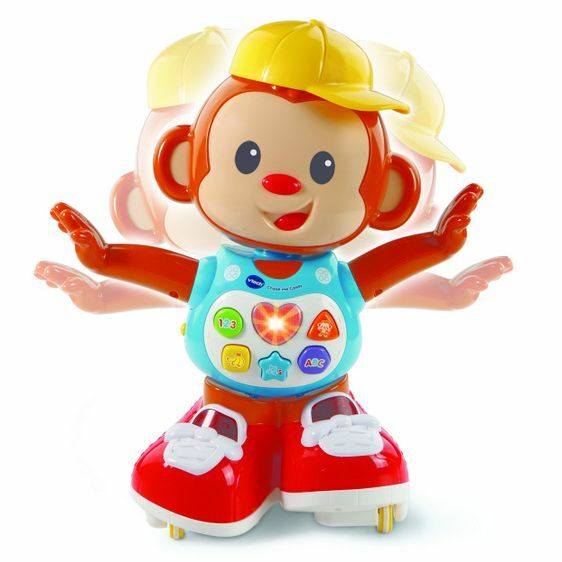 Tech for toddlers? 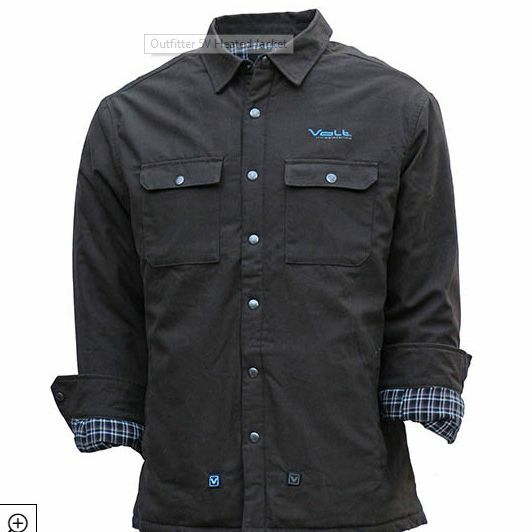 Latest from VTech and Novel Effect. Today's Techstination. Hot kitchen tech: Sharp's super heated steam Healsio oven. Today's Techstination. Toyota maps growth of hydrogen fuel cell powered Mirai: Sr. Engineer Jackie Birdsall chats with Techstination. 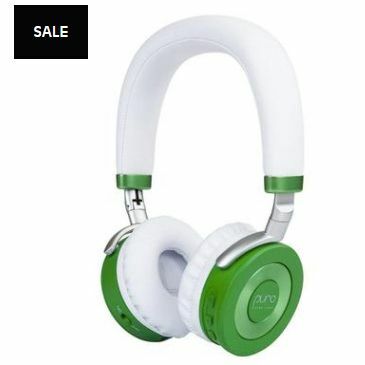 Altigo bringing affordability to noise canceling heaphones and more. Sr. Product Manager Ann Barnes chats with Techstination. 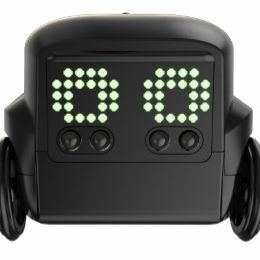 Little robots with big ambitions: Ozobot Founder & CEO Nader Hamda chats with Techstination. 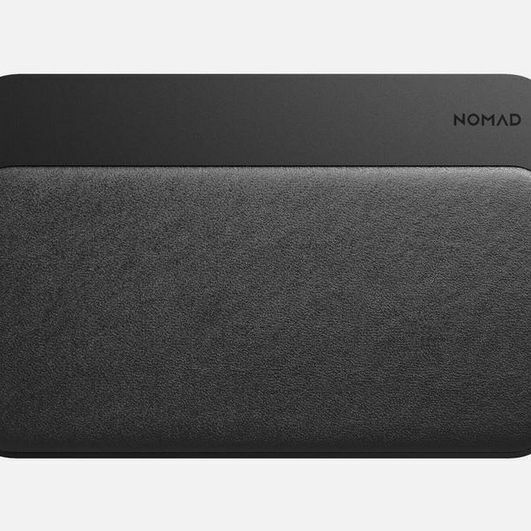 Nomad's new Base Station Wireless Charging Dock impresses. Today's Techstination. 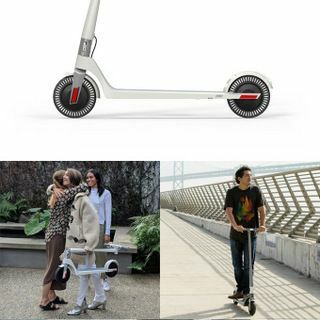 What makes Unagi e-scooters different? : CEO David Hyman chats with Techstination. D.A.D flashlight designed to defend. Today's Techstination. Shopping for tech gifts? You aren't alone. Shopping for tech gifts? You aren't alone. Today's Techstination. 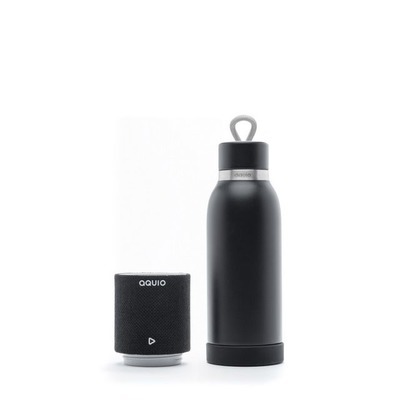 iHome's clever Aquio Bluetooth speaker water bottle. Today's Techstination. Best Thanksgiving travel times? Black Friday traffic jams? Google wants to help. Best Thanksgiving travel times? Black Friday traffic jams? Google wants to help. Justin Burr in Techstination interview. 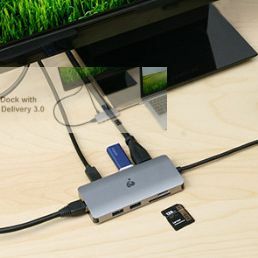 IOGEAR offers docking solutions for port starved notebooks. Today's Techstination. 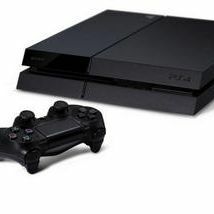 Sony's hot PS4 bundle Black Friday deals: VP Asad Qizilbash chats with Techstination. 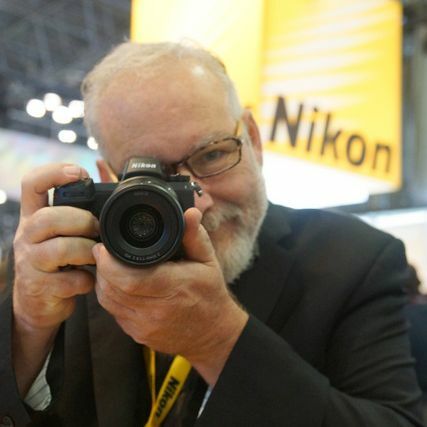 Nikon touts full frame mirrorless cameras. Today's Techstination. 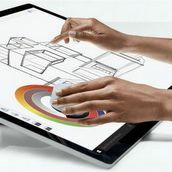 Microsoft's Surface Studio 2 arrives...and more. Microsoft's Dan Laycock chats with Techstination. YourCapital.net aims to help level financial playing field: Founder Saira Suleman in Techstination interview. 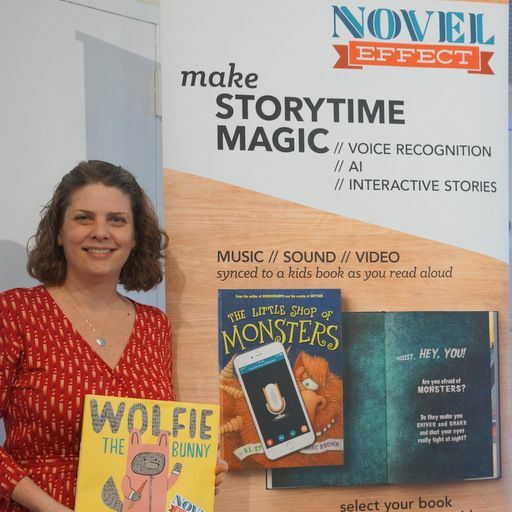 Novel Effect app brings sound and music to story books for kids: VP Tina McIntyre chats with Techstination. GM Is Building An eBike And Wants You to Name It. Today's Techstination. Sena adds more safety and communications to bike helmet. Today's Techstination. What's on your list? The CTA outlines what tech gifts are hot. What's on your list? The CTA outlines what tech gifts are hot. The CTA's Danielle Cassagnol chats with Techstination. Arlo adding more Smart to security line. Today's Techstination. A special edition... Remembering Stan Lee. 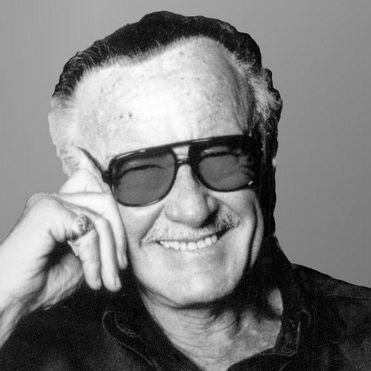 Back in March of 2000, Stan Lee launched a Web site....and had a chat with us.. 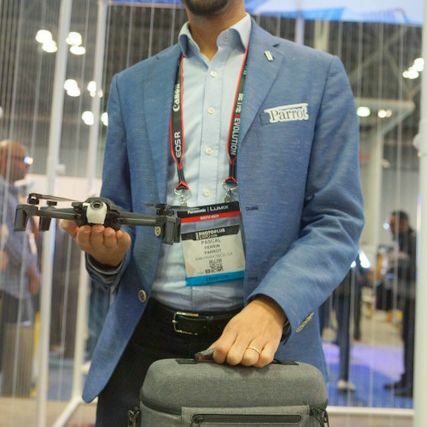 Circuit Scribe's Drone Builder Kit: CEO Brett Walker. 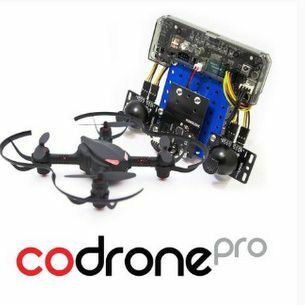 Circuit Scribe's Drone Builder Kit: CEO Brett Walker chats with Techstination. Holiday searches have begun says Google. Today's Techstination. Absolutely Everything...book for curious kids: author Christopher Lloyd in Techstination interview. Canon shows off EOS R at PhotoPlus Expo. Today's Techstination. Kabook makes personalization of books for kids simple: Founder Bram Hall in Techstination interview. Zoom innovates with VR sound recording & new 4K camera. Zoom's Erich Barto and Samuel Greene in Techstination interview. 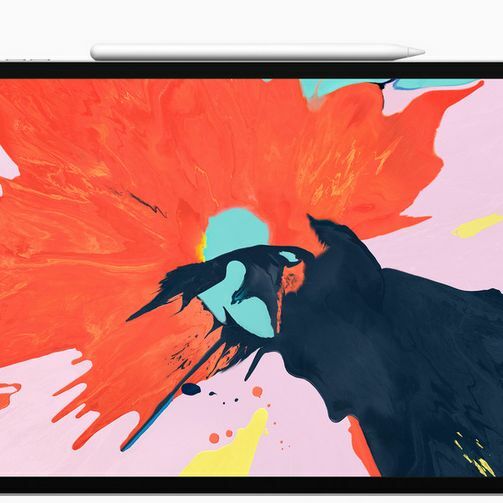 Apple's new iPad Pro models and MacBook Air arrive. Today's Techstination. 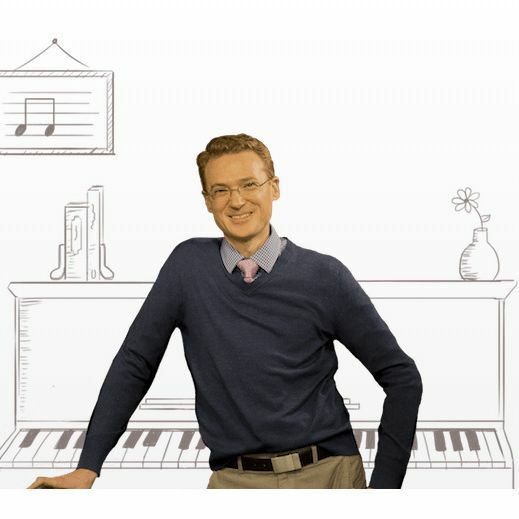 Online piano lessons for all is aim of Hoffman Academy: Founder Joseph Hoffman chats with Techstination. LifeGift app designed to combat distracted driving and walking. Today's Techstination. GM Is Building An eBike And Wants You to Name It: GM eBike Mgr. 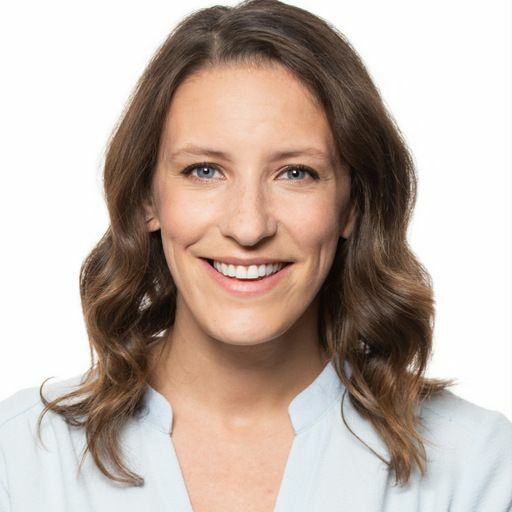 Jenni Cathcart chats with Techstination. GoSun solar cookers to assist victims of Typhoon Yutu. Today's Techstination. 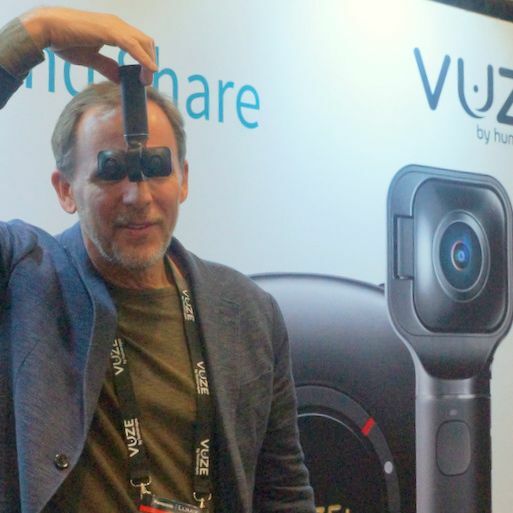 VUZE XR hybrid camera from Human Eyes: GM Jim Malcolm chats with Techstination. What's a Woobo? A smart robotic companion for kids. What's a Woobo? 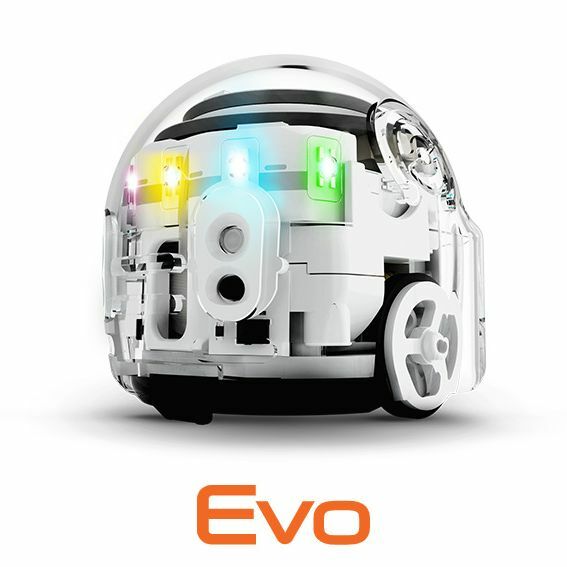 A smart robotic companion for kids. Woobo's T J Desai in Techstination interview. 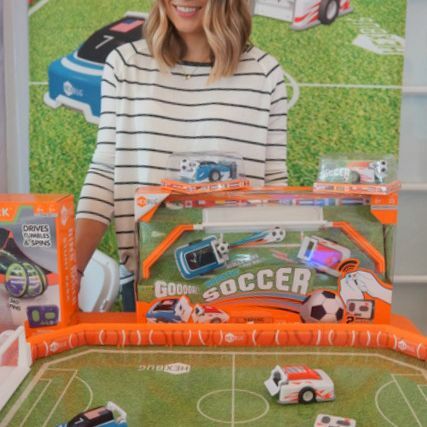 VTech brings new sensors and tech to fun toys for little ones: VTech's Tiffany Lavery chats with Techstination. 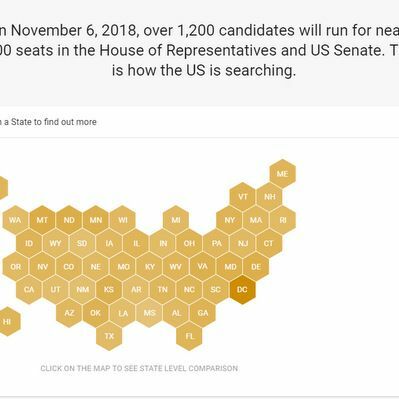 Thanksgiving, elections & more: Google charts latest search activity. 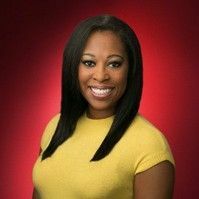 Google Technologist LaToya Drake chats with Techstination. Anker Innovations unveils updated chargers, speakers & more. Today's Techstination. 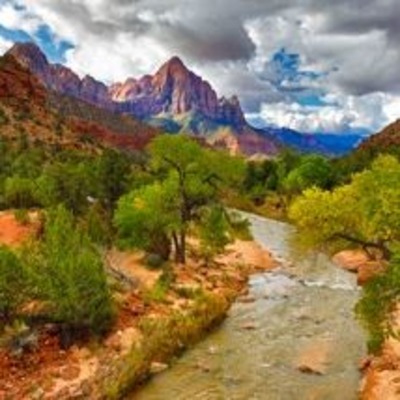 Photographer, author, teacher Rick Sammon shares shooting stories & more. Today's Techstination. Parrot updates ANAFI flying 4K HDR camera, adds extended pacakage. 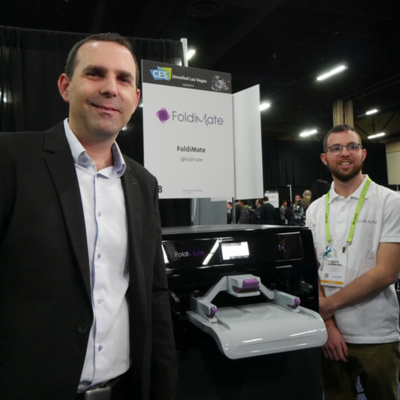 Parrot's Pascal Perrin in Techstination interview. 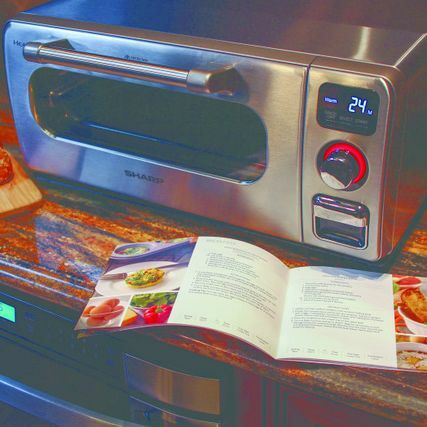 Kitchen tech from Sharp: Superheated Steam Countertop Oven. 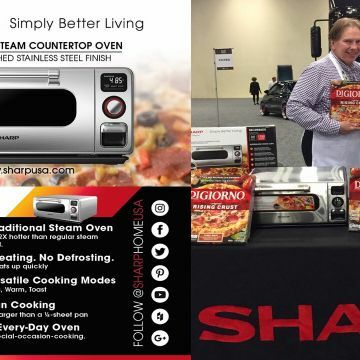 Kitchen tech from Sharp: Superheated Steam Countertop Oven. SVP Peter Weedfald chats with Techstination. 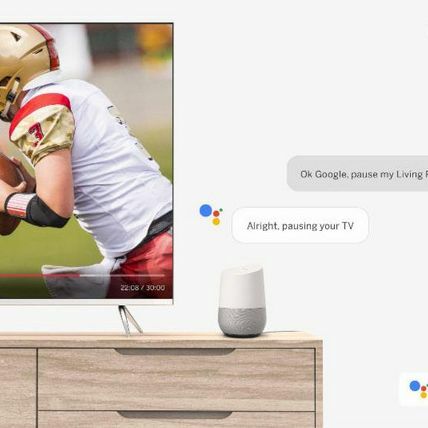 Lenovo's Smart Displays with Google Assistant add features. Today's Techstination. 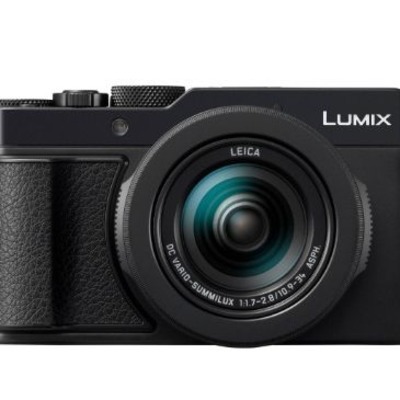 Panasonic plans push into full frame cameras & more: Matt Frazer at PhotoPlus. Techstination interview. 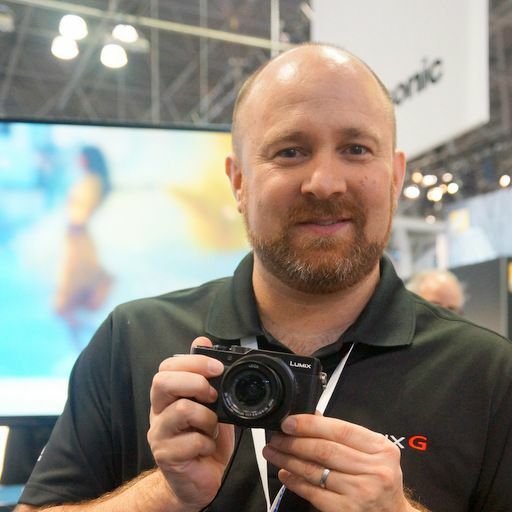 Nikon touts full frame mirrorless cameras at Photo Plus: Sr. Tech. Mgr. Steve Heiner chats with Techstination. WD's My Passport Wireless SSD is the Swiss Army Knife of storage. Today's Techstination. 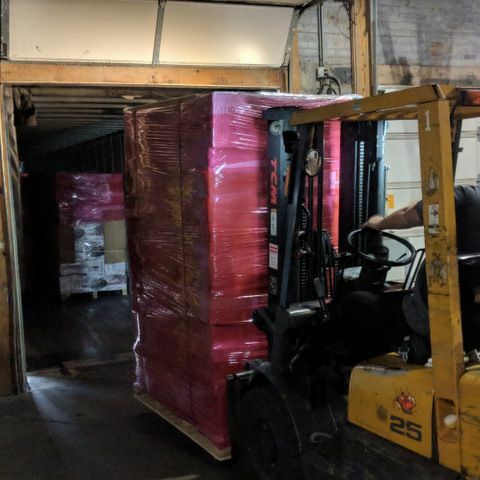 GoSun solar cookers to assist victims of Typhoon Yutu: CEO Patrick Sherwin chats with Techstination. 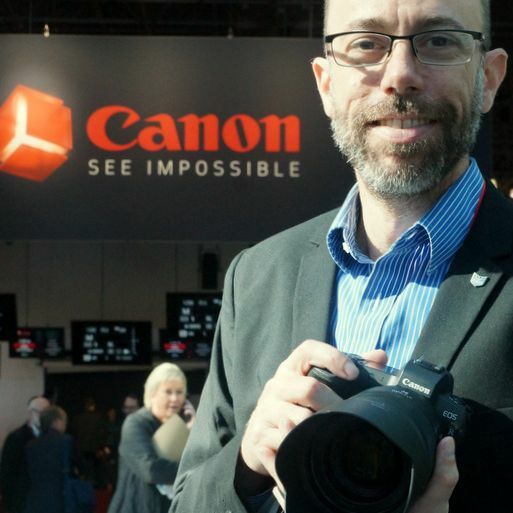 Canon shows off EOS R at PhotoPlus Expo: Sr. Tech. Specialist Drew MacCallum in Techstination interview. Why are self driving cars being rear ended? Why are self driving cars being rear ended? Today's Techstination. Package detection & more coming to Arlo Smart: Product Mgr. Greg Falgiano chats with Techstination. 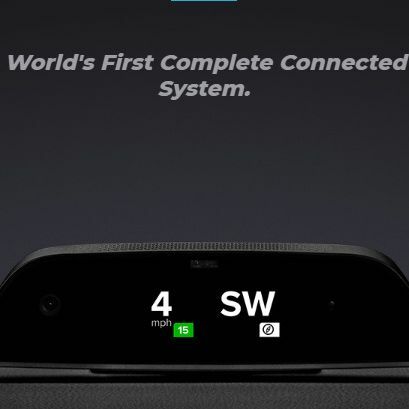 Anker unveils next gen products. CEO Steven Yang in Techstination interview. Tile grows partnerships and adds features. Today's Techstination. IOGEAR offers docking and gaming solutions. Techstination interview with IOGEAR's Richard Liang and Derrick Hamilton. Google's Accessibility Team adds features to make life and technology easier for all. Today's Techstination. 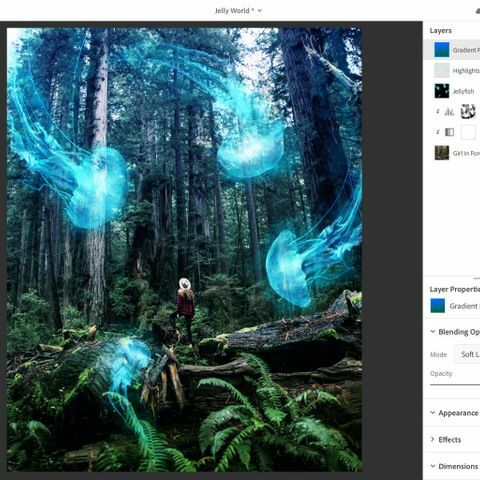 Adobe bringing "real" Photoshop & more to iPad: Dir. Prod. Mgmt. 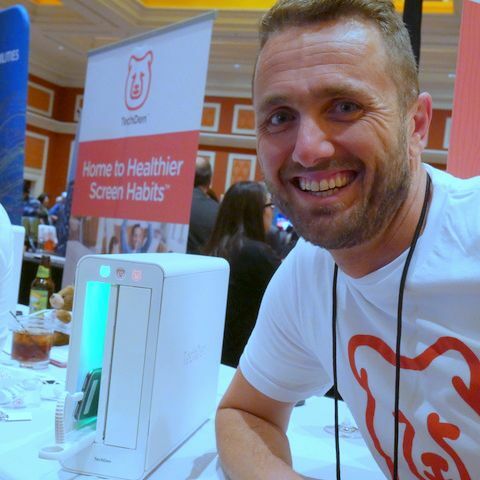 Bryan O'Neill Hughes in Techstination interview. 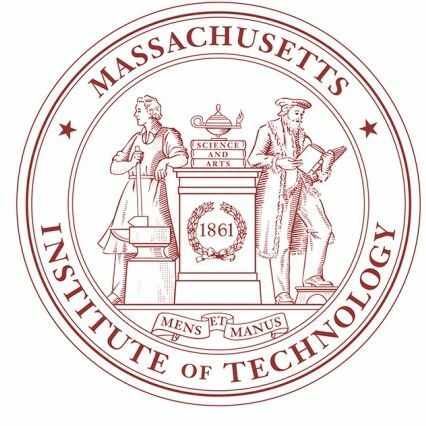 MIT establishes new college to address challenges of AI and more. Today's Techstination. Innovations from GoPro continue. Techstination Report. A bike saddle that molds to your bottom: Reform Saddle. Today's Techstination. RockyMounts solutions for transporting e-bikes. Today's Techstination. New Pixel phones and more from Google. Today's Techstination. iHome's Aquio Bluetooth speaker water bottle & new Zenergy Salt Lamp. 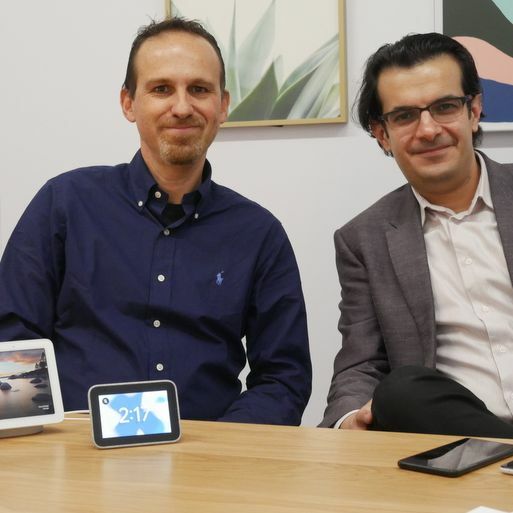 iHome's Nisan Davidov in Techstination interview. 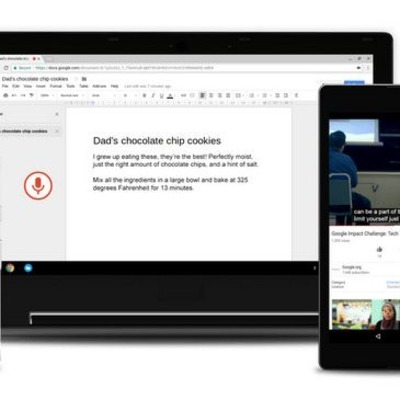 Google's Accessibility Team adds features to make life and technology easier for all. The team's Kyndra LaCoco chats with Techstination. Epson's newest home theater projectors arrive. Today's Techstination. MIT establishes new college to address challenges of AI and more: Provost Marty Schmidt in Techstination interview. Travis Touch talking translator in your pocket. Today's Techstination. Cheaper ways to head to the movies? Cheaper ways to head to the movies? Today's Techstination. Techstination Week 10 12 18. 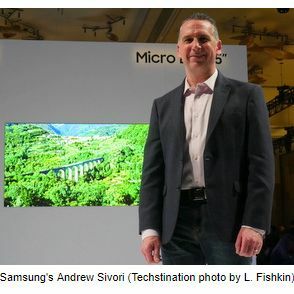 A compilation of this week's Techstination Reports with tech reporter and host Fred Fishkin. 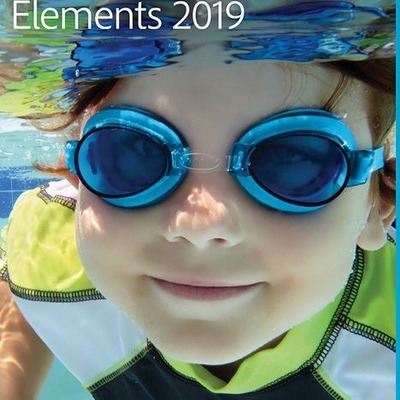 New features galore in Photoshop & Premiere Elements 2019 from Adobe. Sr. Product Manager Komal Desai in Techstination interview. TigerLight's new emergency alert-self defense device: CEO Michael Teig in Techstination interview. LAPD finding benefits to e-bike patrols. Today's Techstination. How much is that phone worth? Flipsy.com has answers. How much is that phone worth? 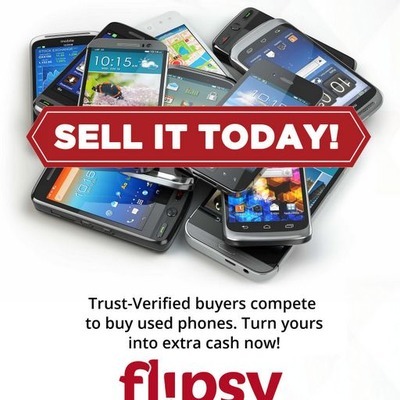 Flipsy.com has answers. Techstination interview. 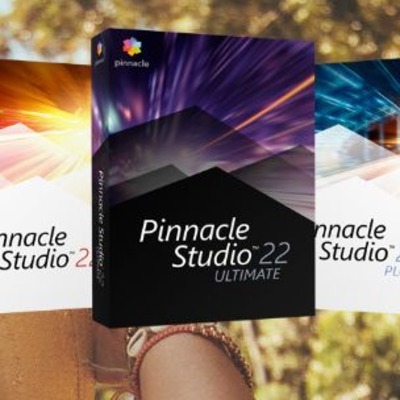 Pinnacle Studio 22 brings new features to video editing. Today's Techstination. 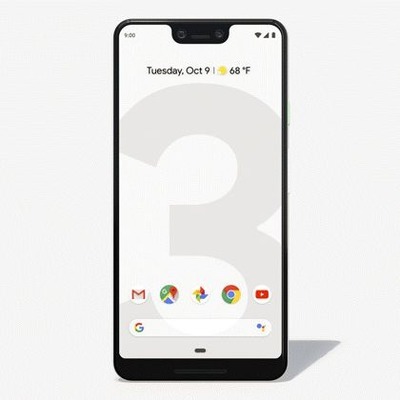 Google SVP Rick Osterloh wraps up introduction of Pixel 3 and more. Are e-bikes good for you? Are e-bikes good for you? Today's Techstination. 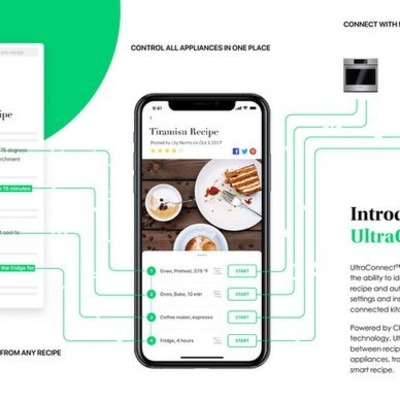 Chefling adds partners for app controlled kitchen. Techstination interview with co-founder Jeff Xie and Dir. of Bus. Dev. Nancy Tu. 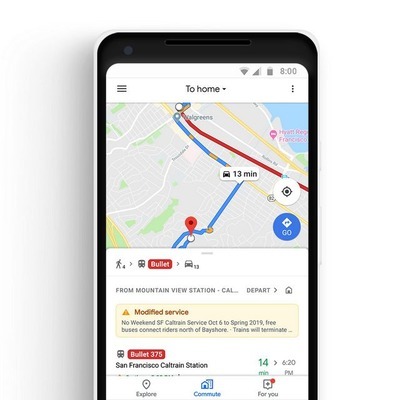 Google aims to ease commutes with new Maps features. Today's Techstination. 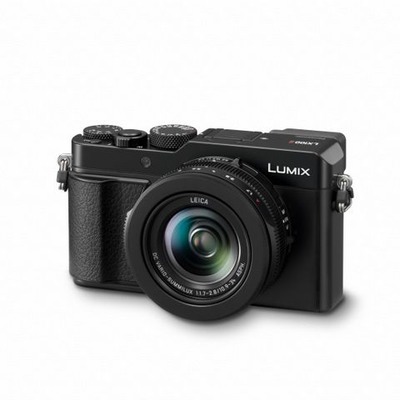 Panasonic updates Lumix LX100 with Mark II. Today's Techstination. 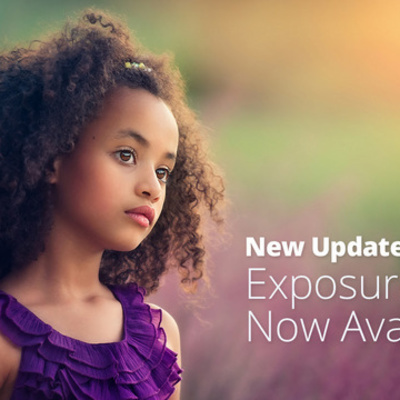 Alien Skin adds new capabilities in Exposure X4 for photographers & enthusiasts. CEO Finely Lee chats with Techstination. LifeShield brings connected home capability to home security system. Today's Techstination. 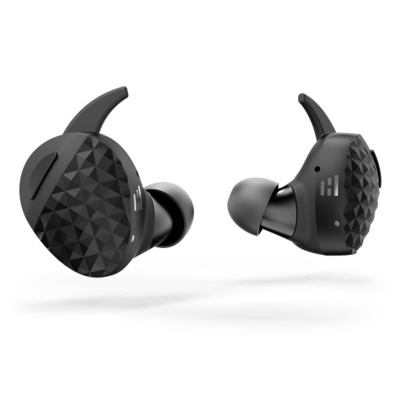 Plantronics unveils latest in BackBeat line. Today's Techstination. 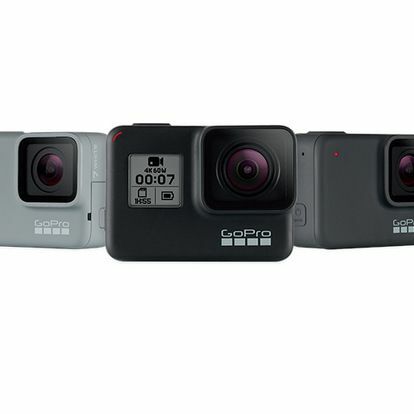 What you should know about the new Hero 7 cams from GoPro: VP Rick Loughery chats with Techstination. 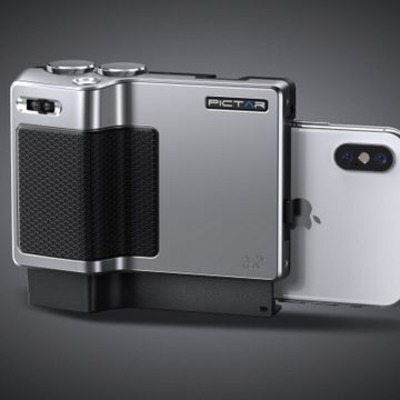 Miggo unveils Pictar Pro advanced camera grip for phones. Techstination interview with development director Sean Henry. 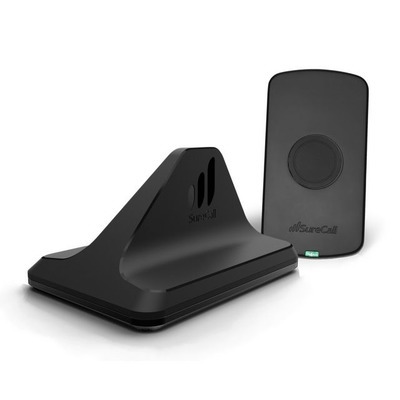 SureCall's new N Range for boosting mobile signals. Today's Techstination. Skullcandy brings unique features to Venue & Crusher 360 headphones. Liz Teran and Kathryn Smith chat with Techstination. Google aims to ease commutes with new Maps features: Google's Genevieve Park chats with Techstination. 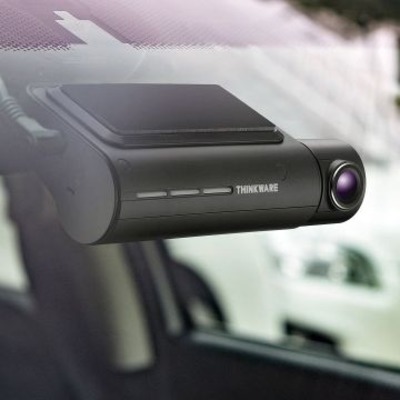 Thinkware's latest Dash Cams offer peace of mind on the road and while parked, Today's Techstination. 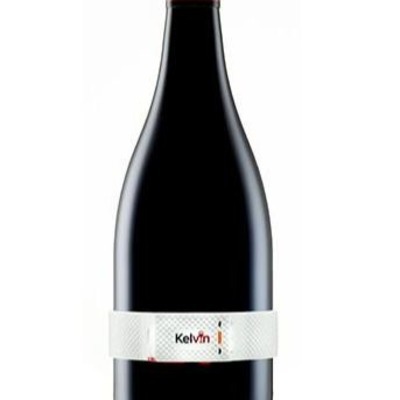 Kelvin K2 connected band for perfect wine temperature. Today's Techstination. 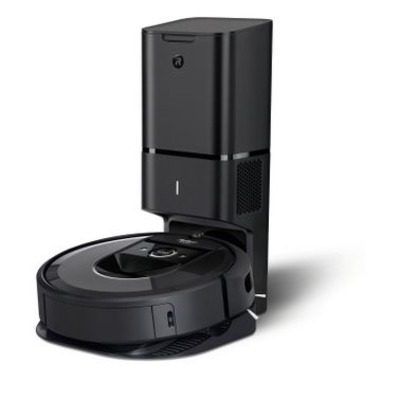 iRobot's new self emptying i7 Plus Roomba arriving. Today's Techstination. 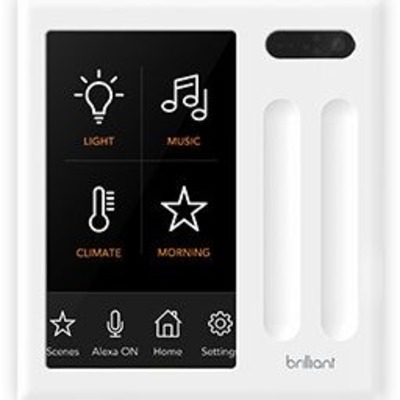 Brilliant's voice & screen enabled smart home controls arrive. Today's Techstination. Is e-bike riding good for you? U. of Tenn. Professor Chris Cherry in Techstination interview from Interbike. A bike saddle that molds to your bottom: Reform Saddle's Blake Startup chats with Techstination. 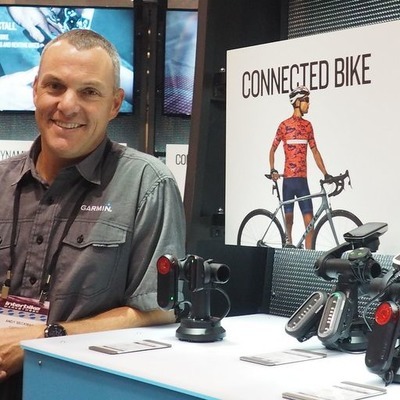 Garmin shows off connections for fitness and safety at Interbike. Garmin's Andy Beckman chats with Techstination. A bike saddle that molds to your bottom: Reform Saddle's Blake Startup in Techstination interview. 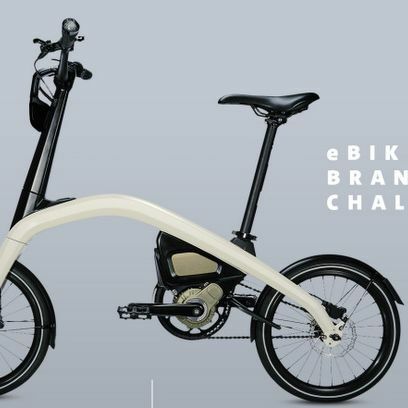 Who makes e-bikes work? 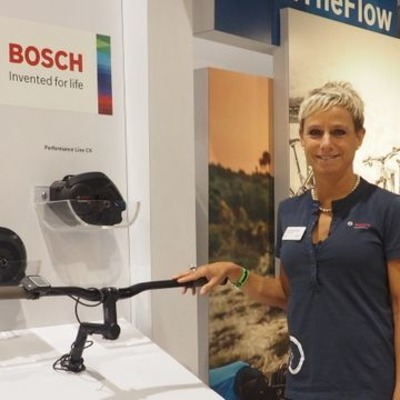 Bosch E-Bikes Americas GM Claudia Wasko chats with Techstination. 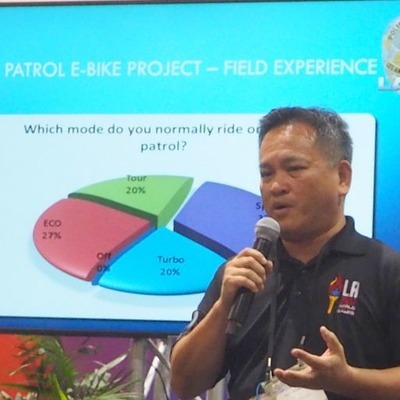 Interbike: LAPD says ebike deployment is paying off: Sgt Sam Gong chats with Techstination. 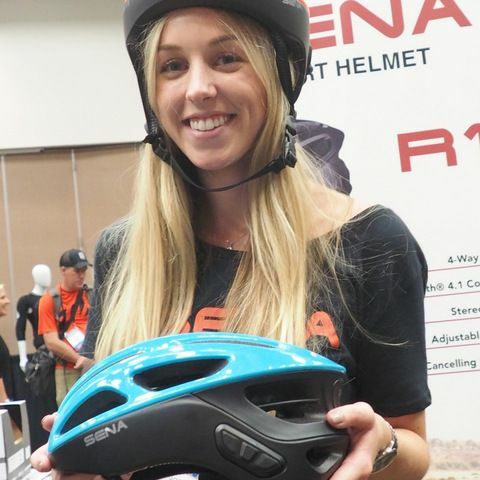 Interbike: Sena's Smart Helmet R1 enables bike to bike chats and more. Sena's Kasey Clough in Techstination interview. Too much screen time? 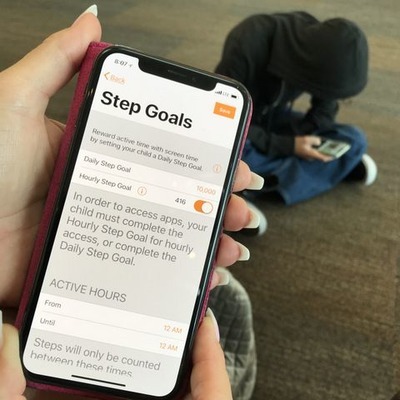 GOYA Move app pushes kids to get active: Pres. Isaac Gredinberg chats with Techstination.